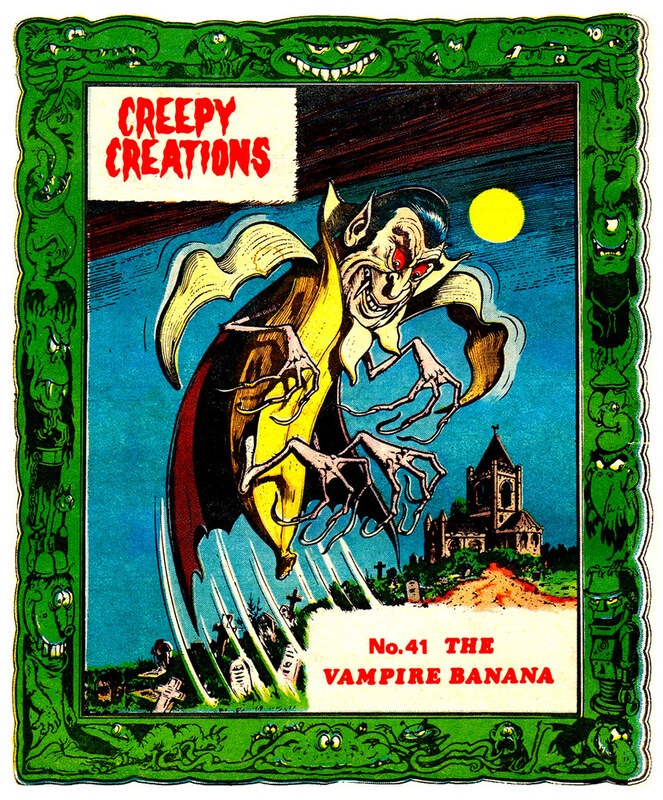 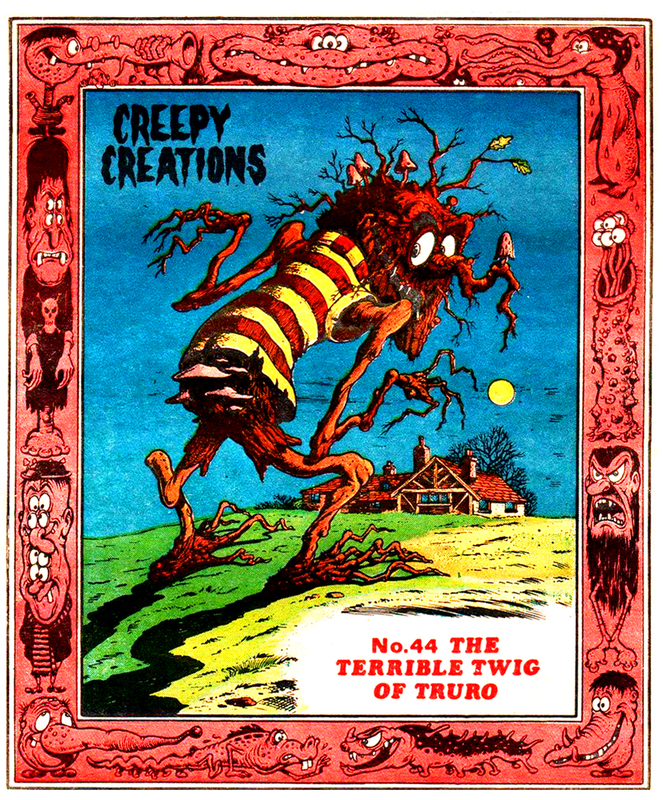 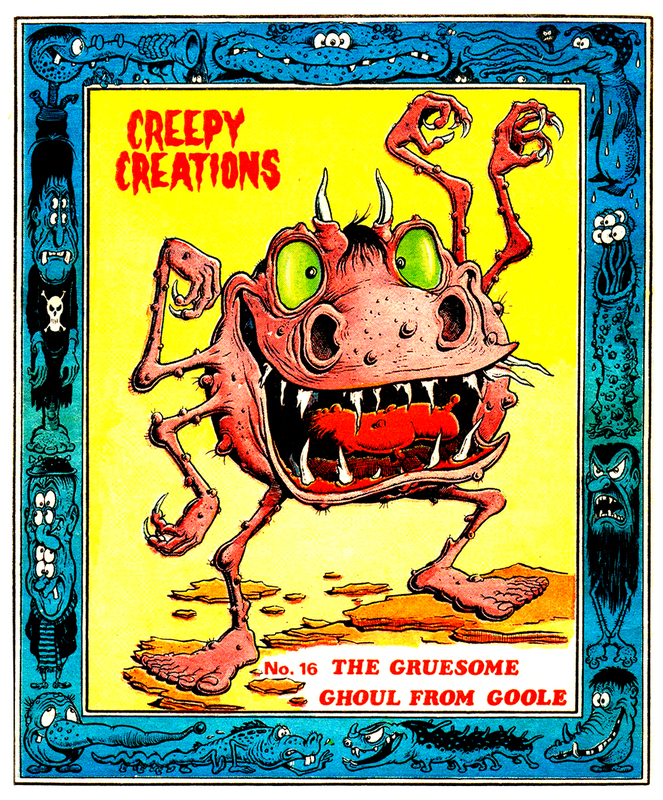 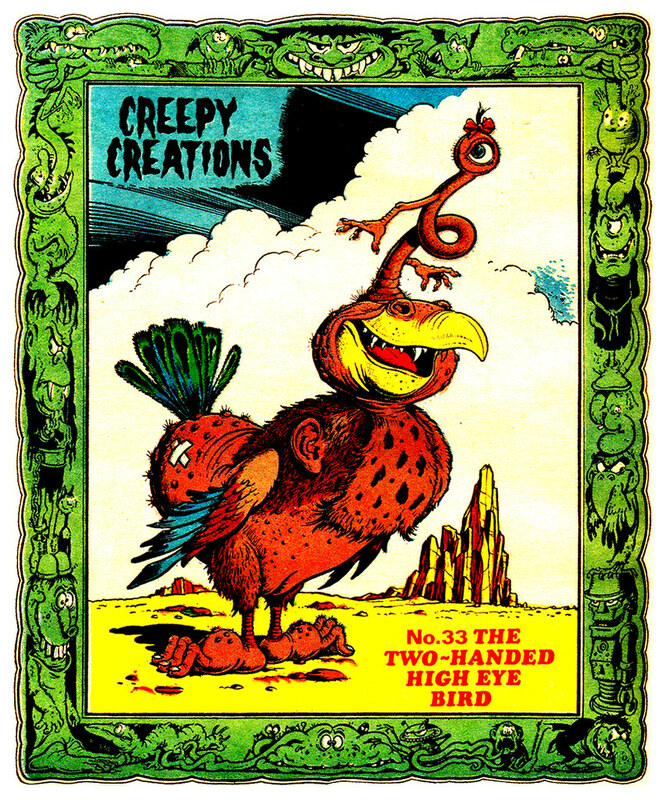 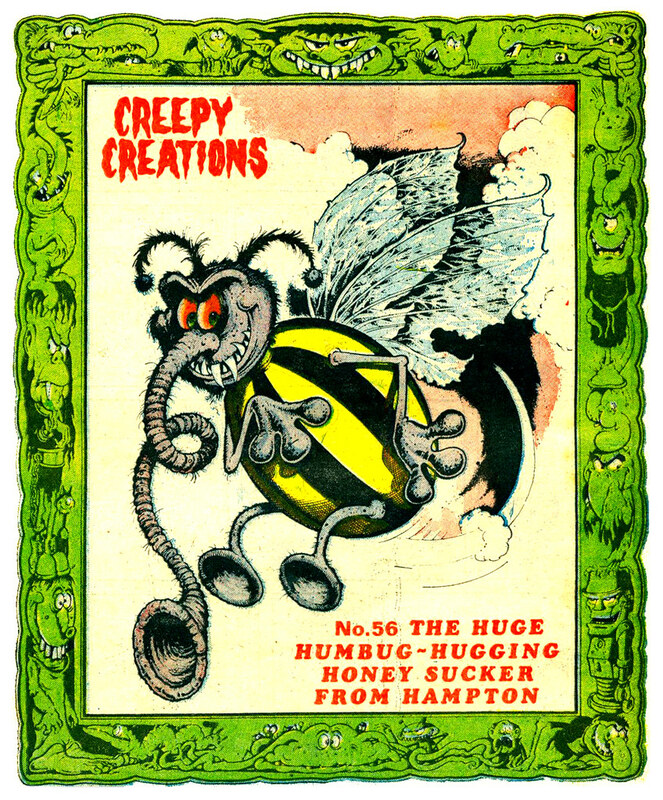 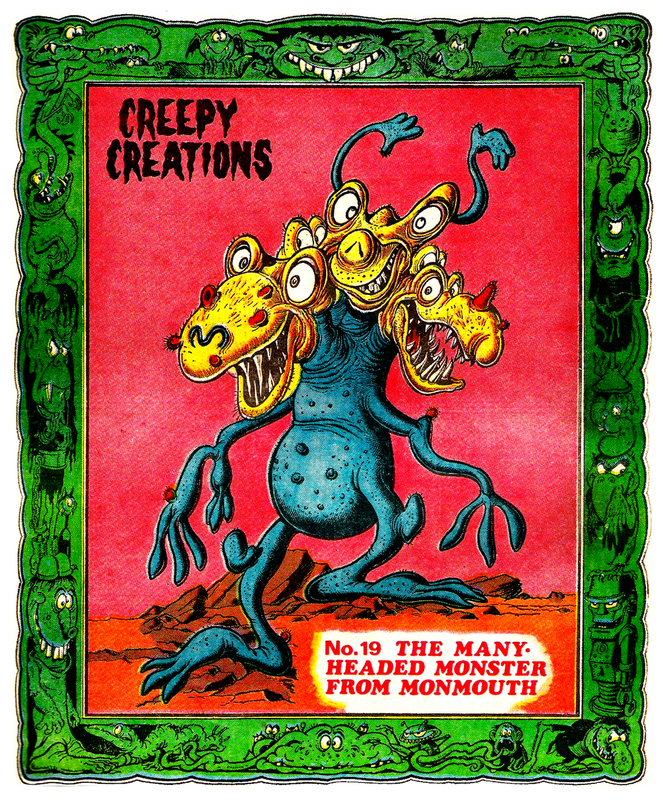 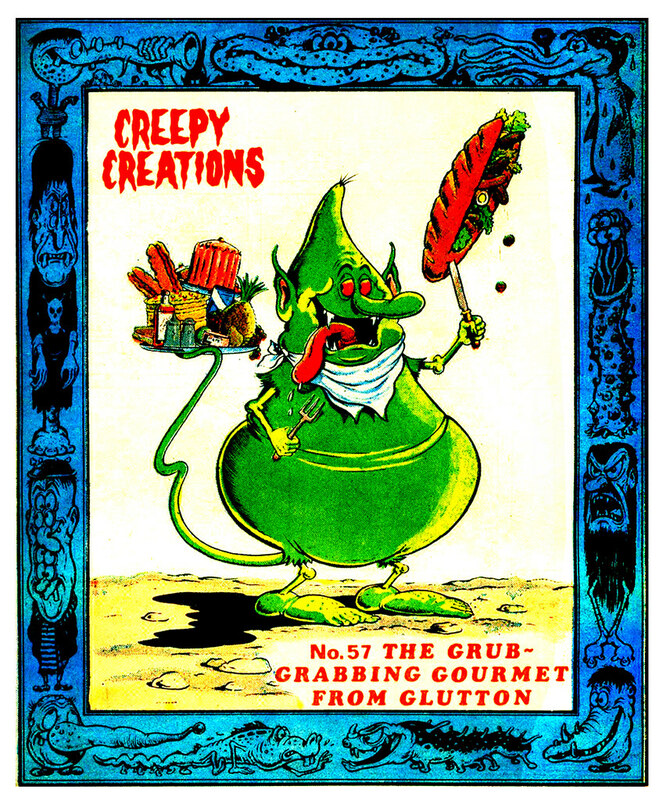 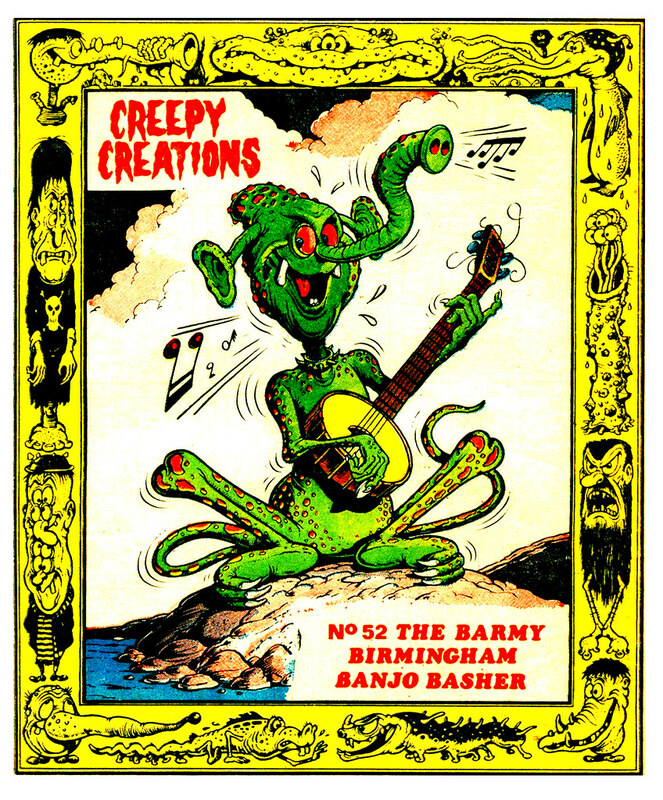 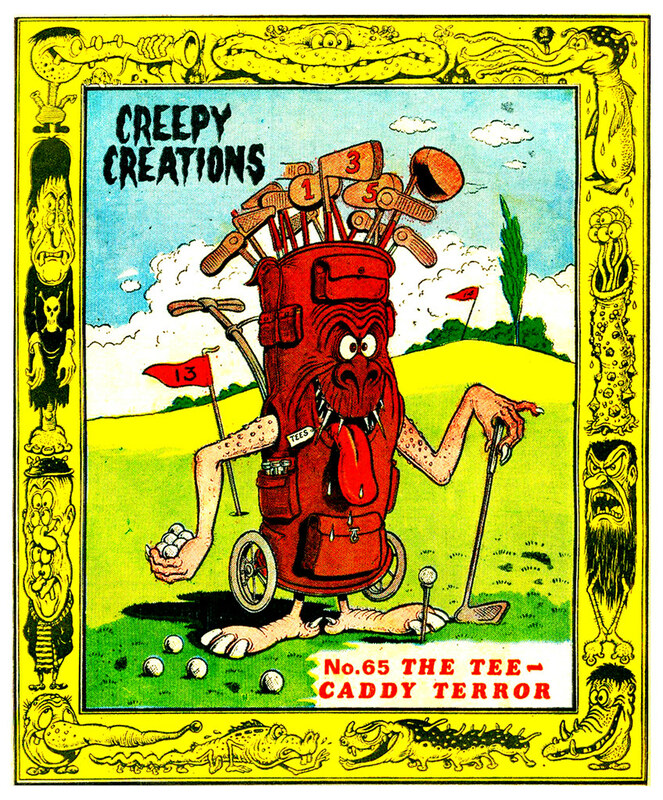 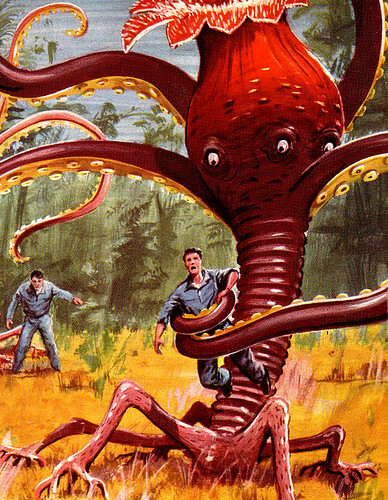 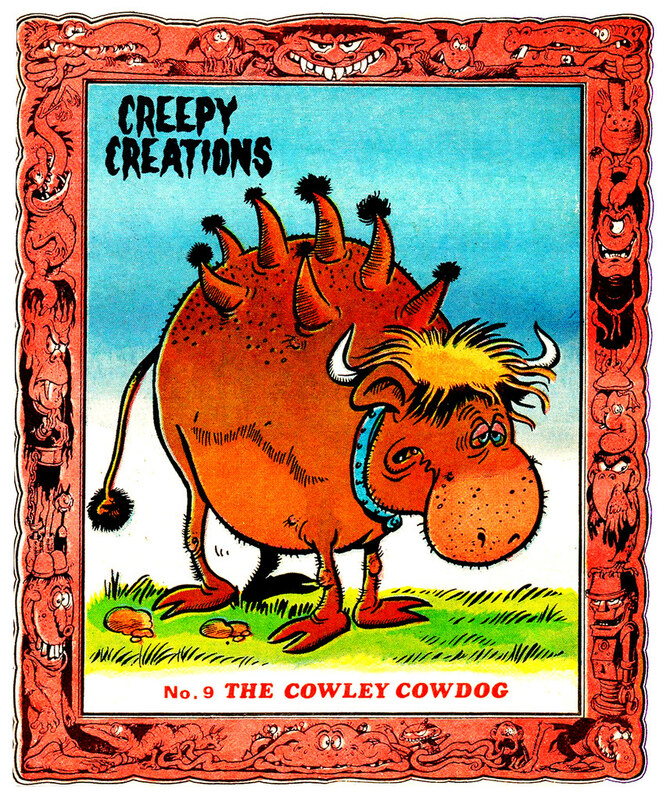 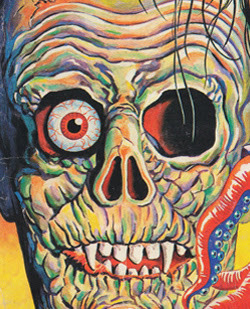 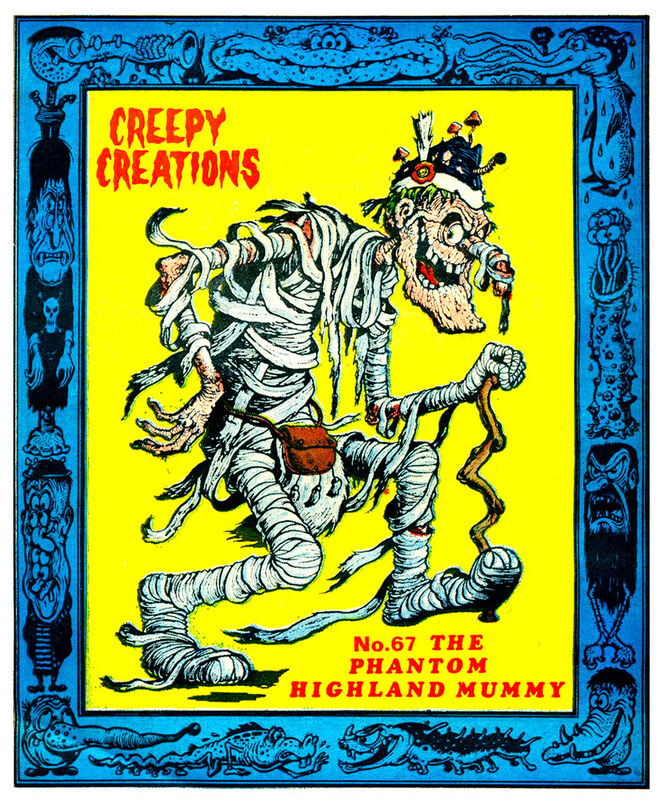 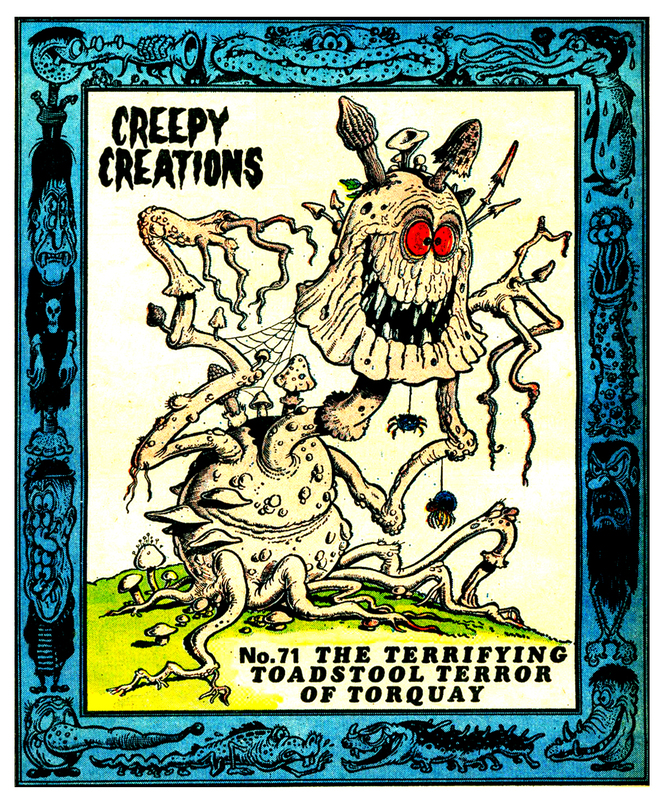 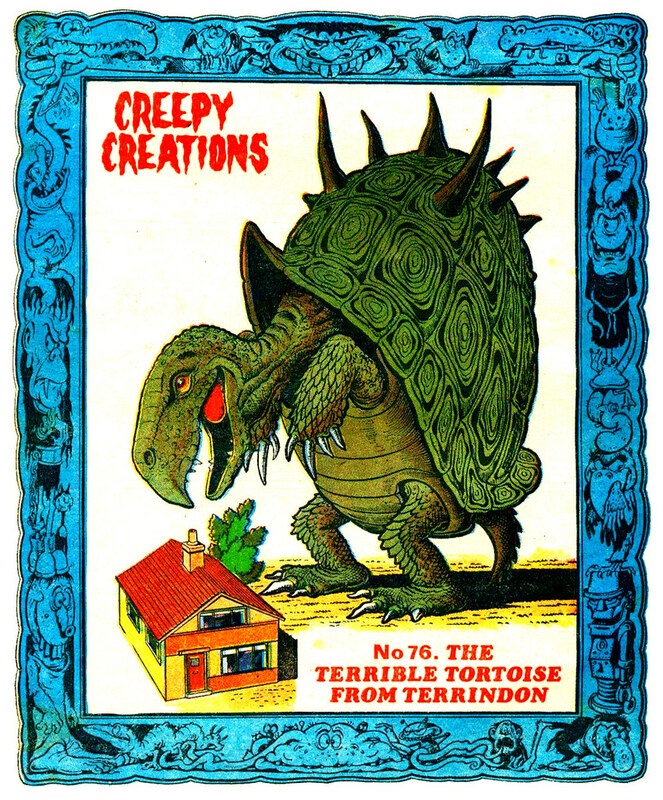 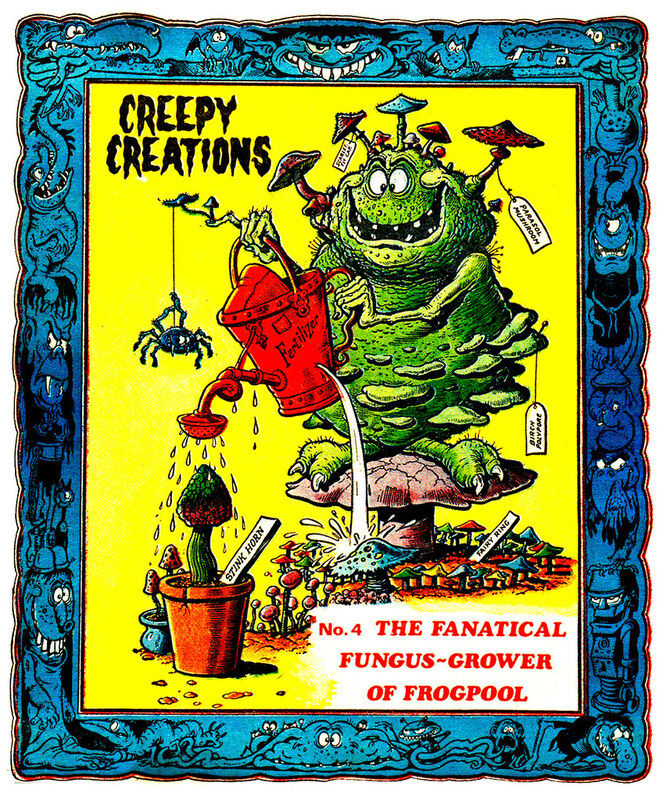 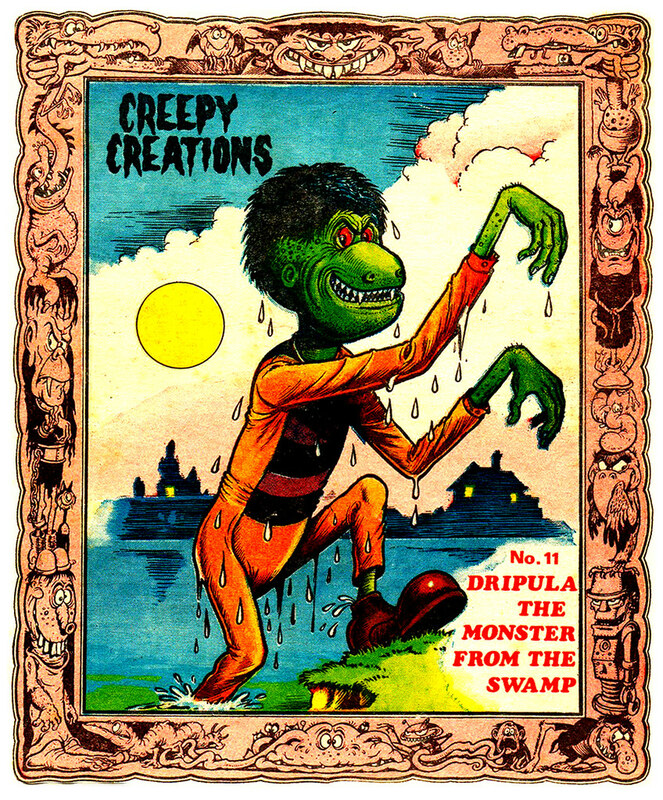 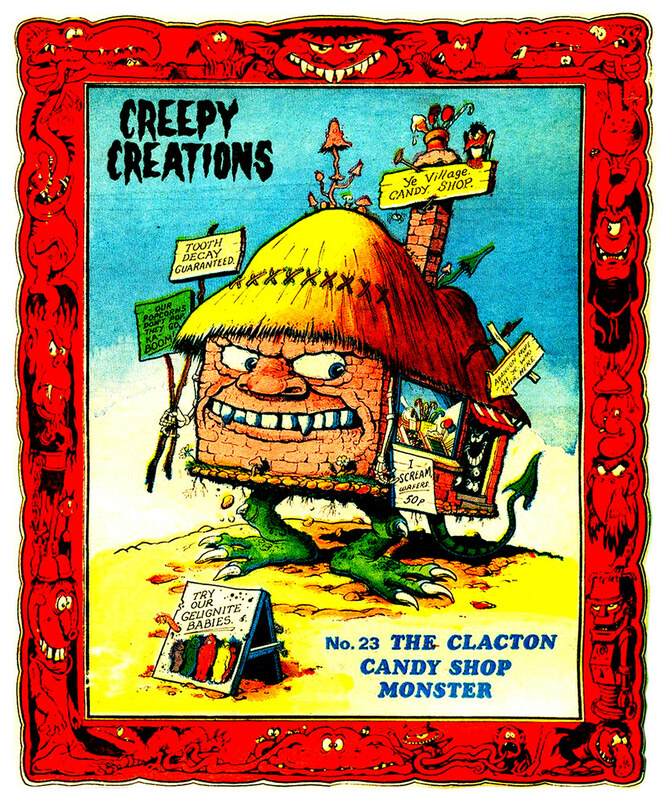 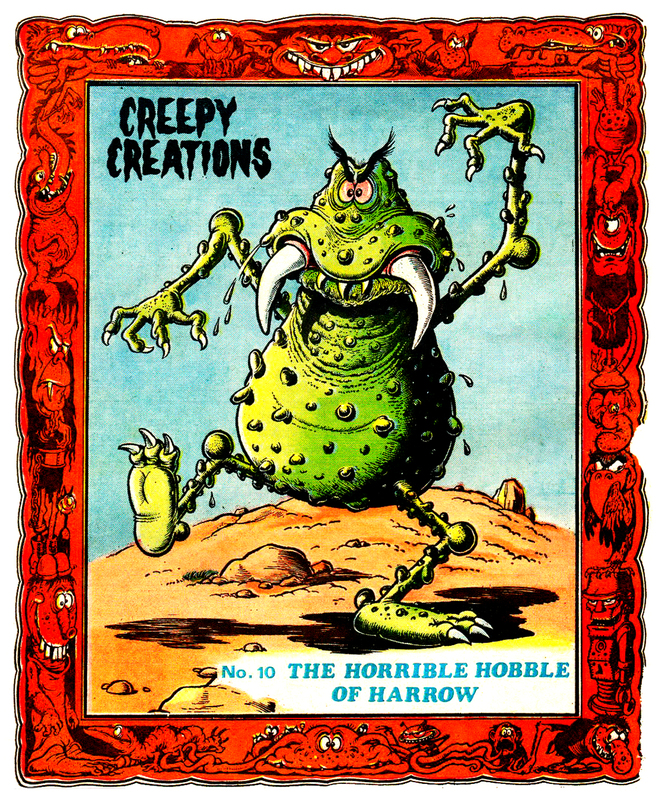 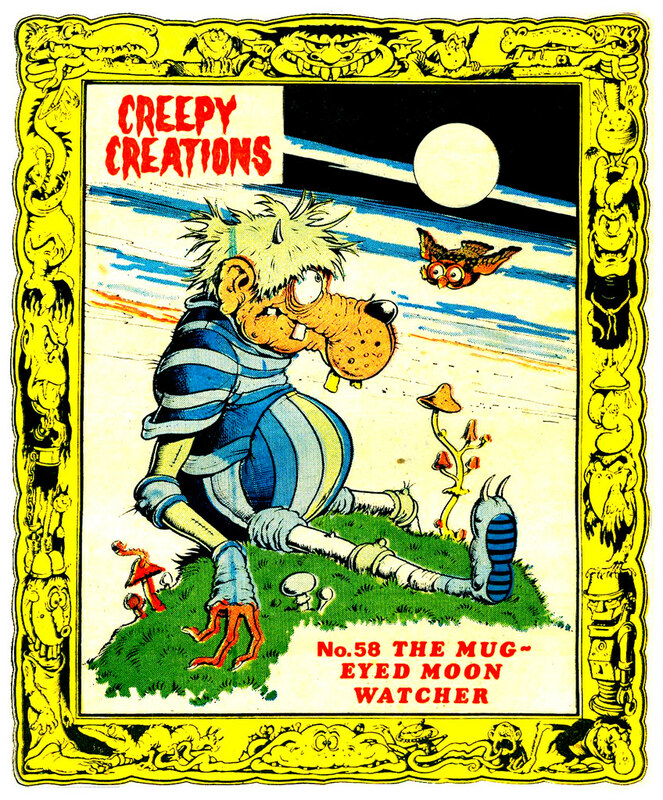 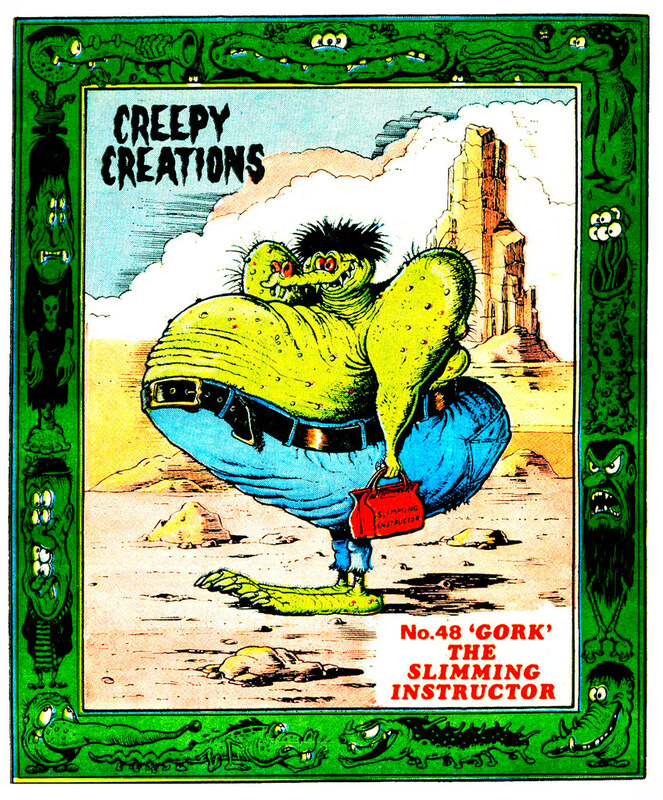 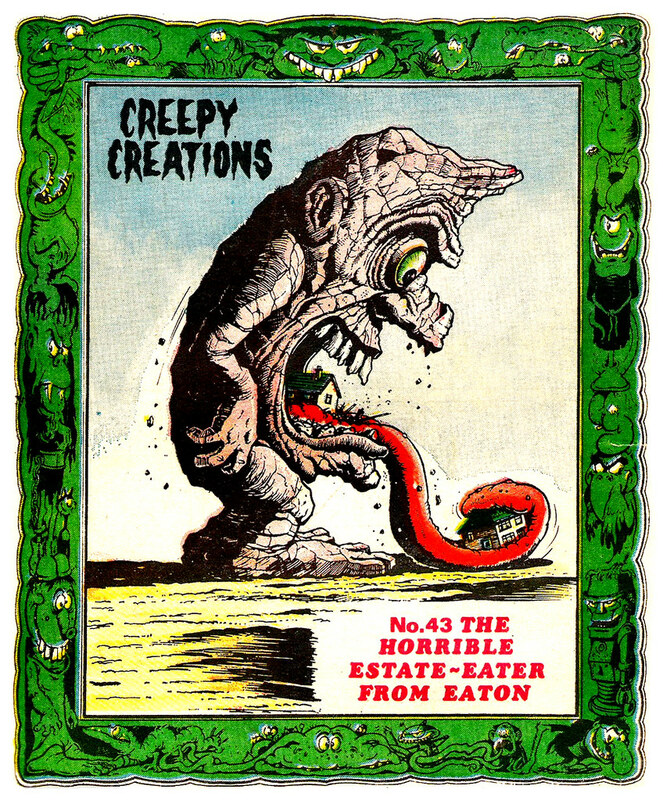 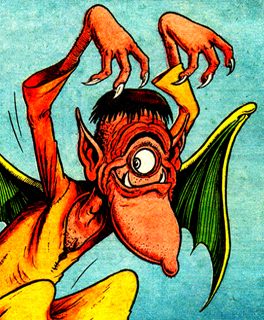 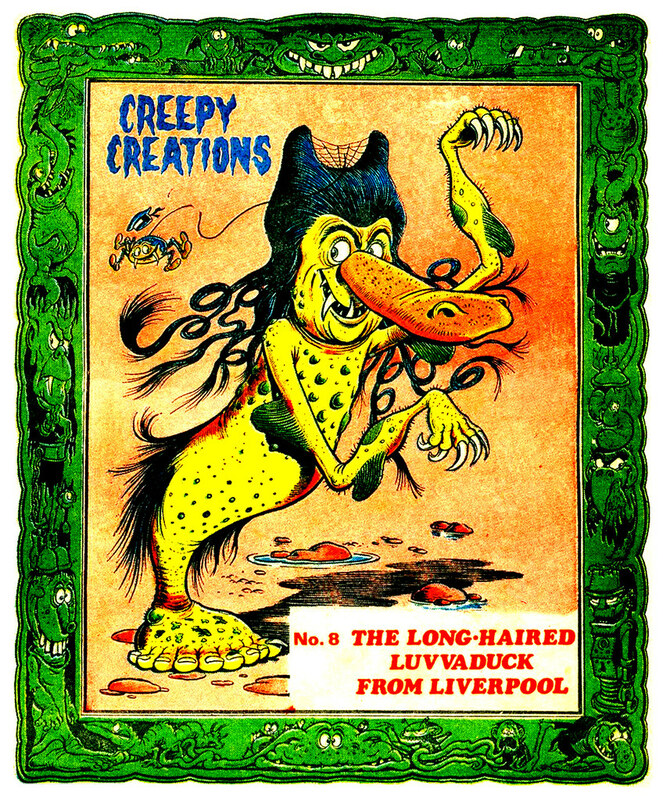 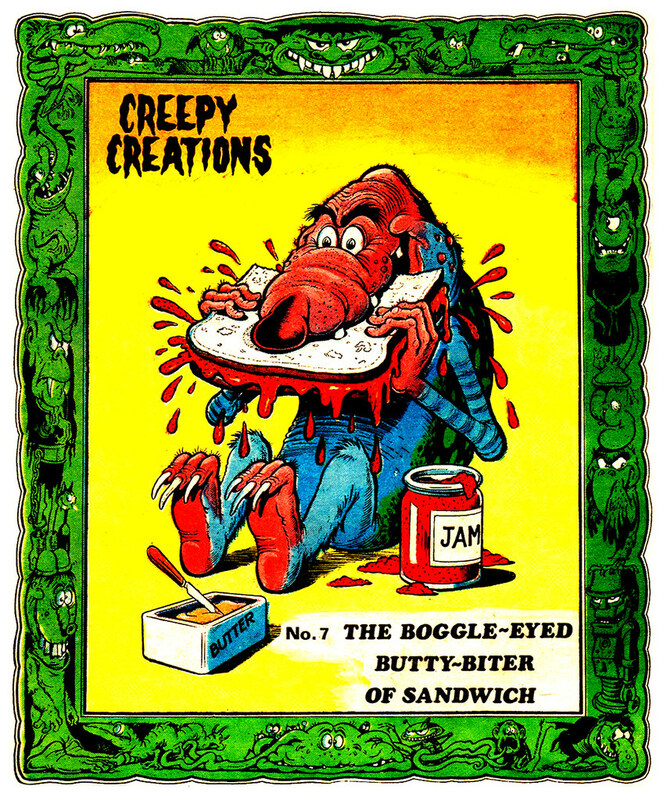 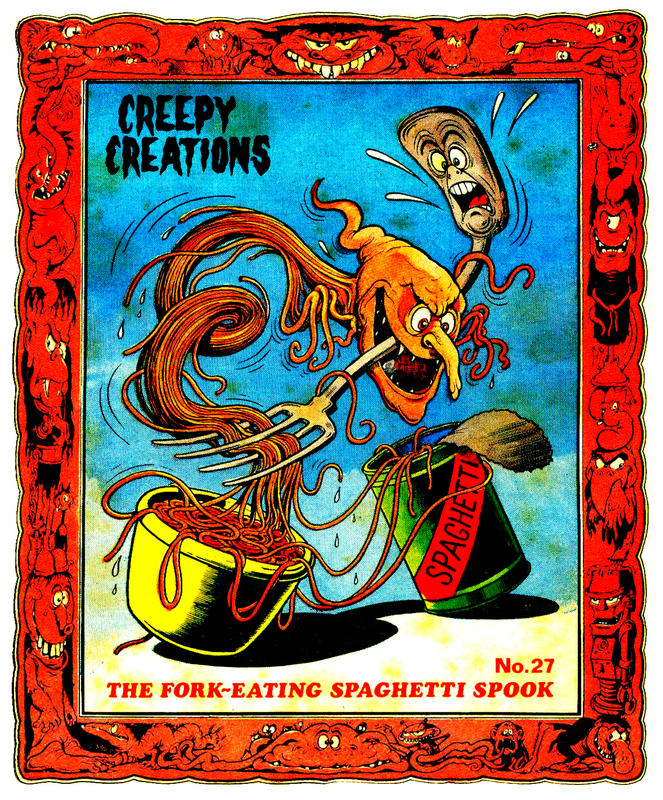 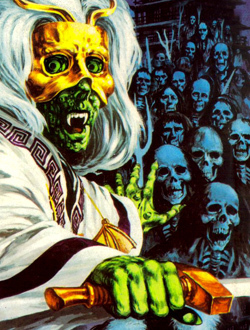 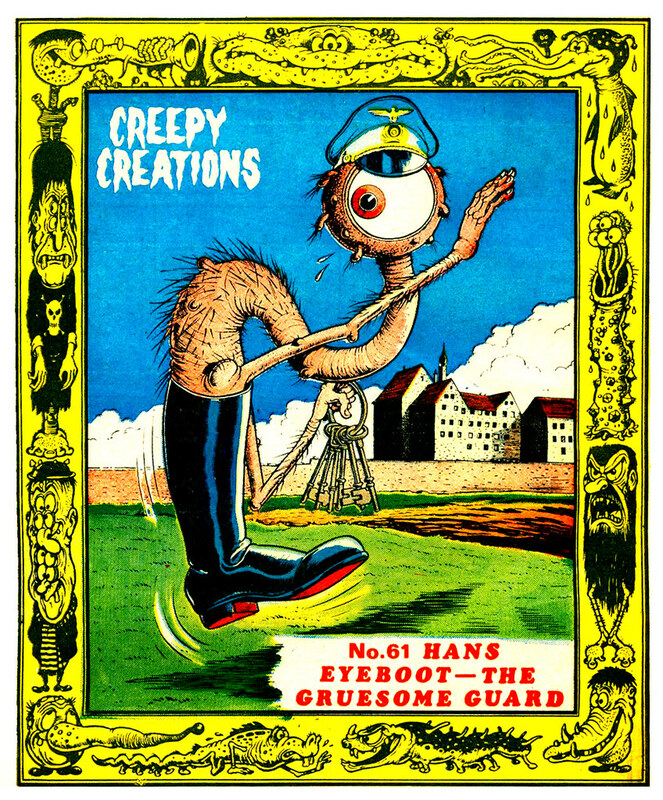 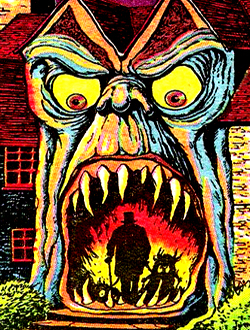 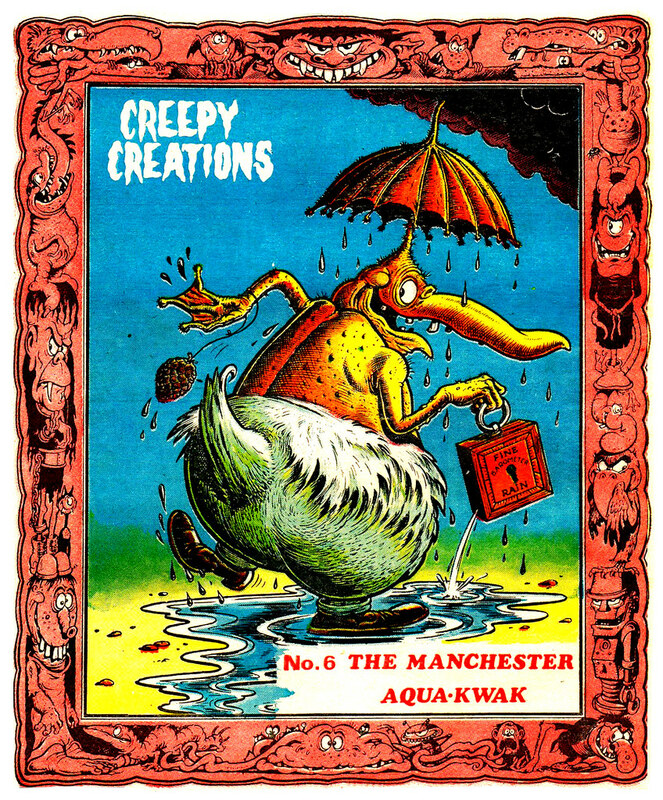 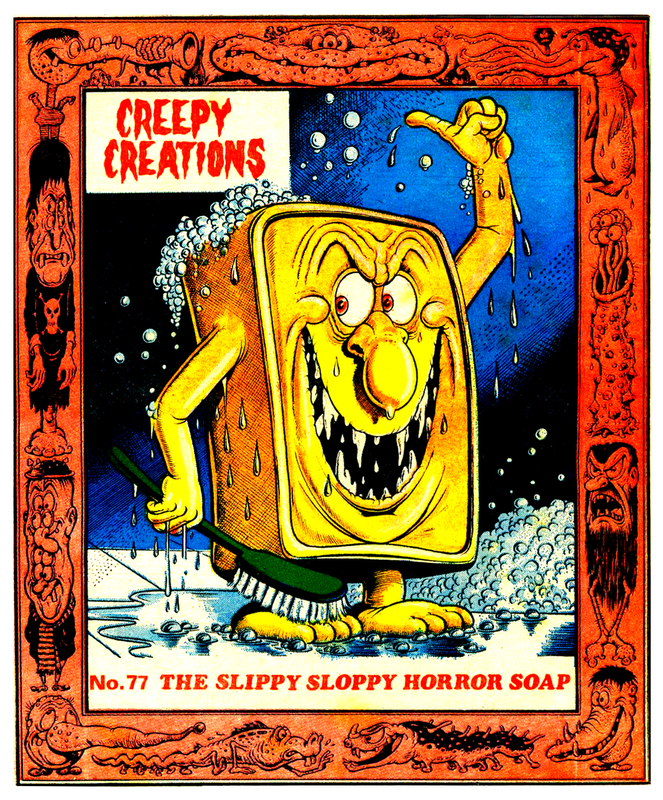 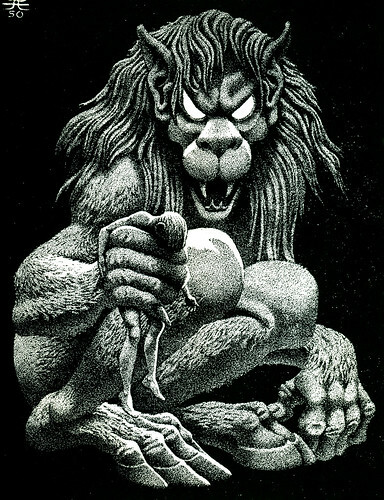 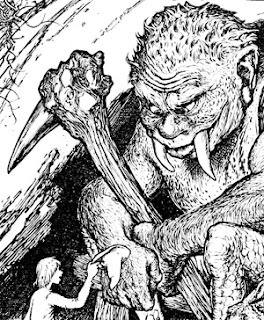 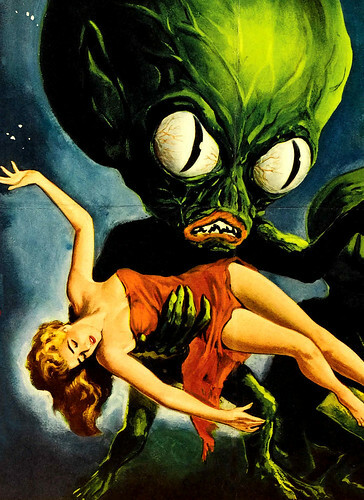 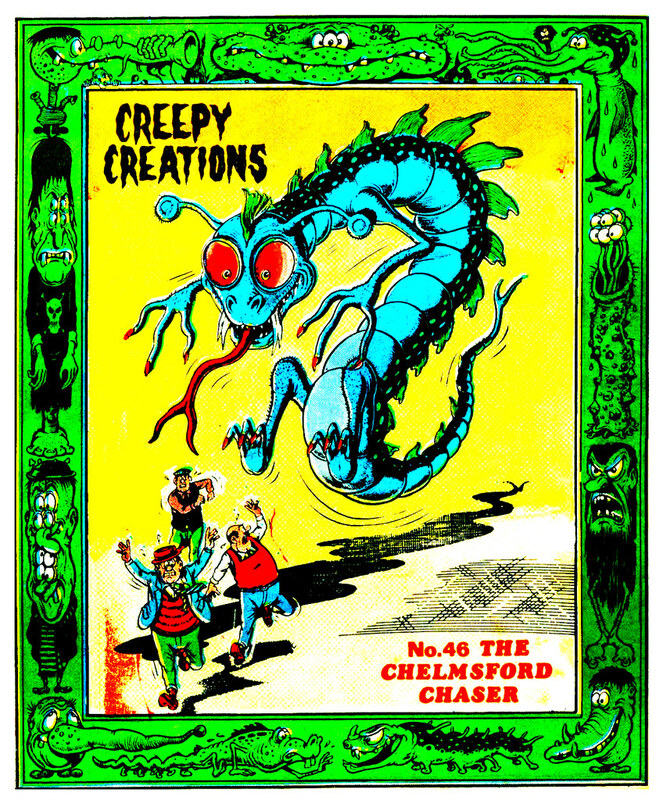 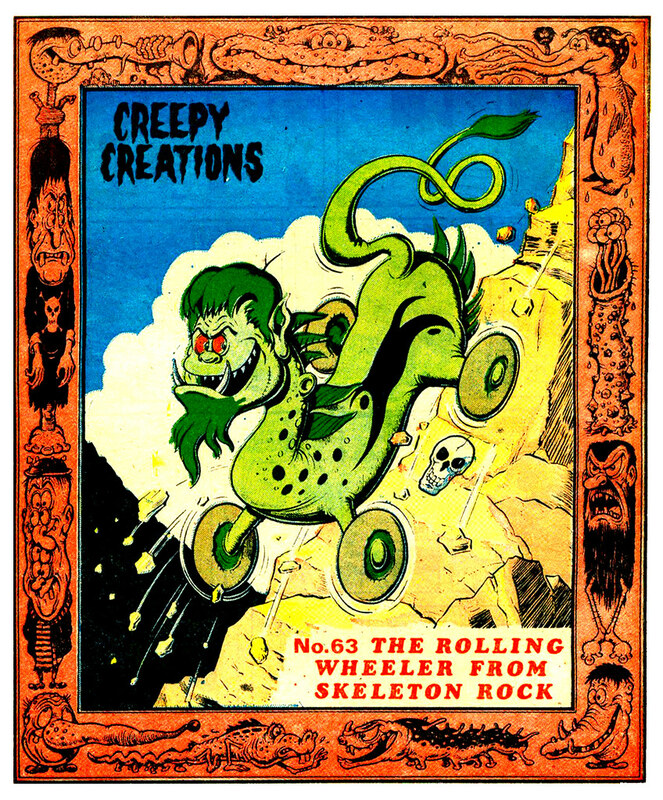 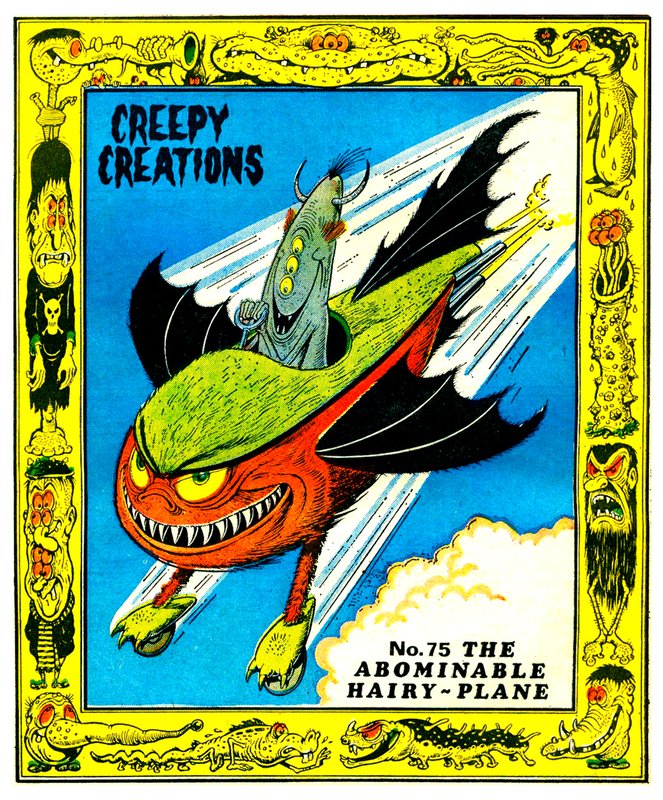 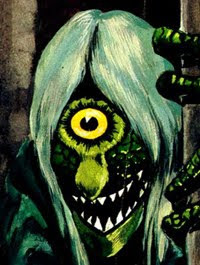 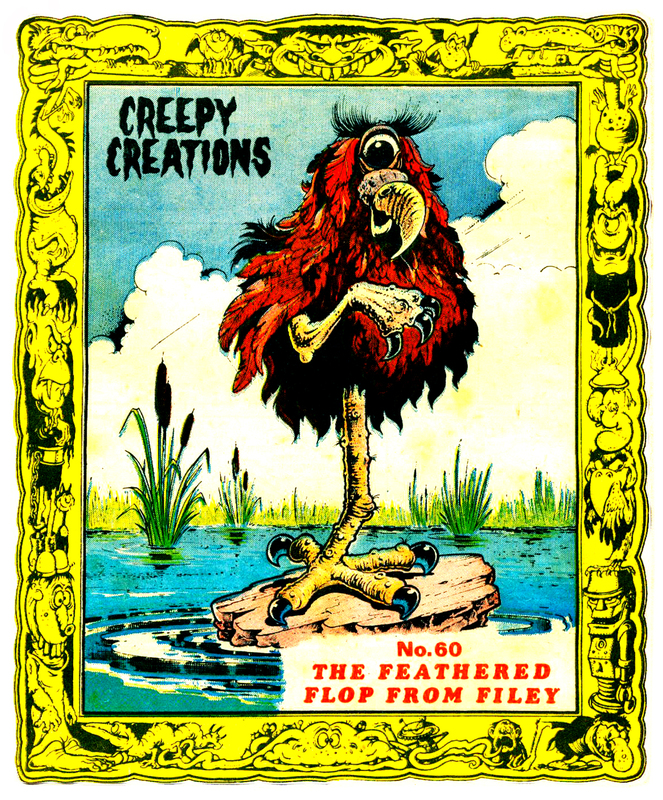 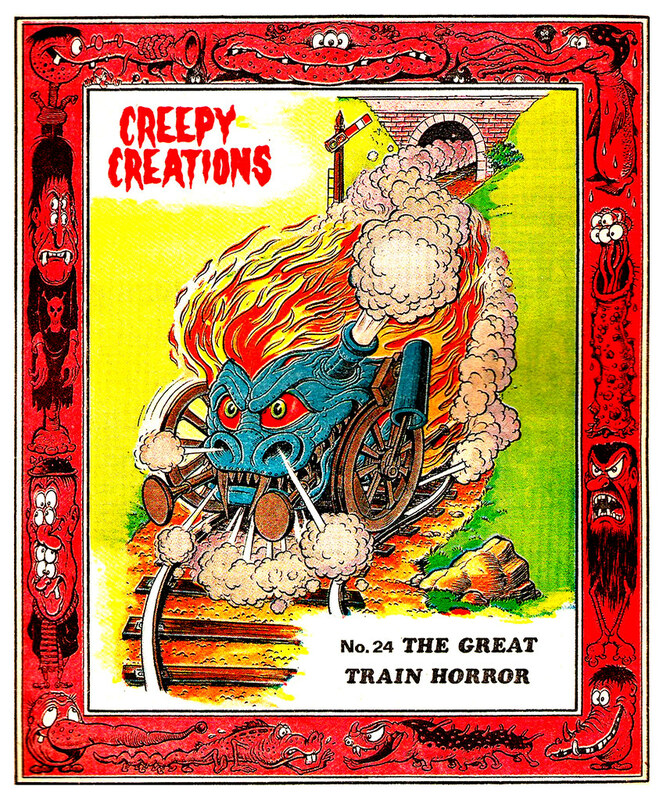 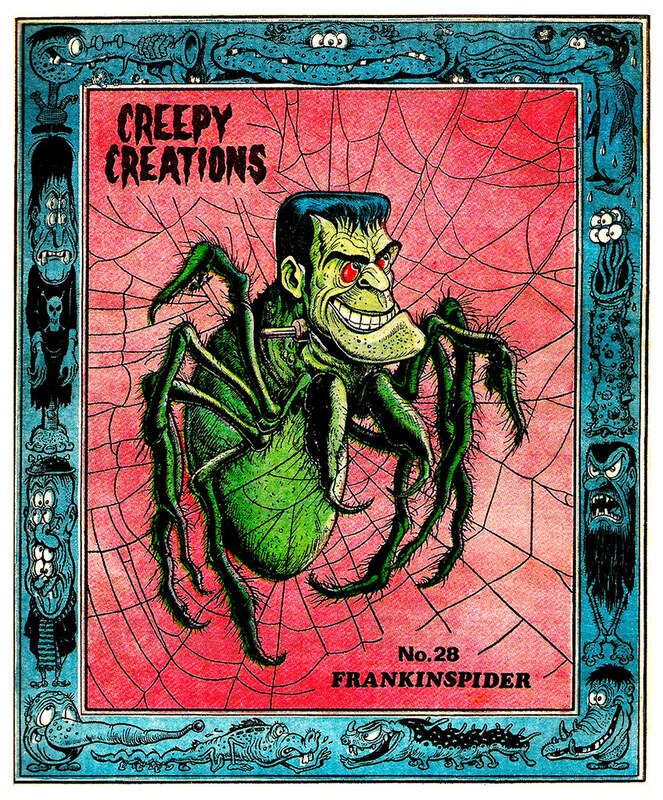 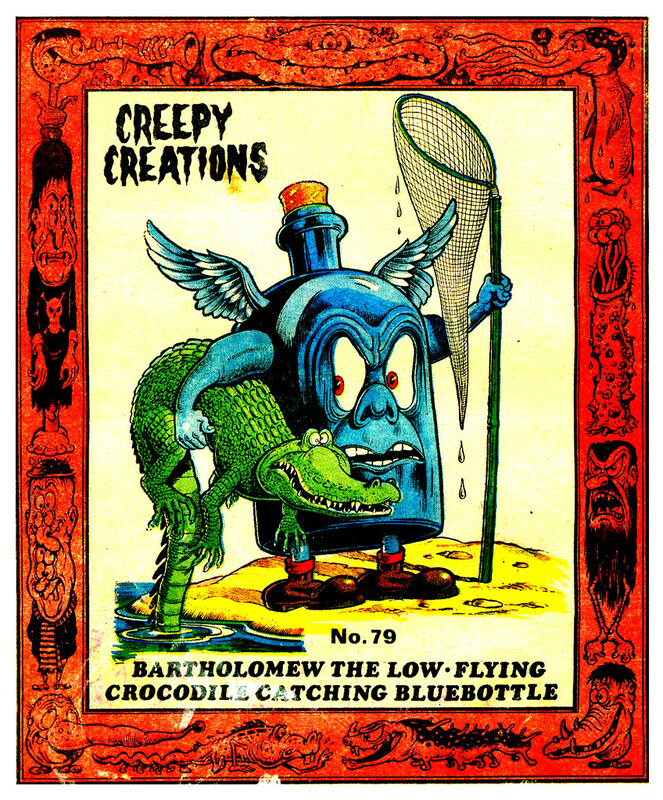 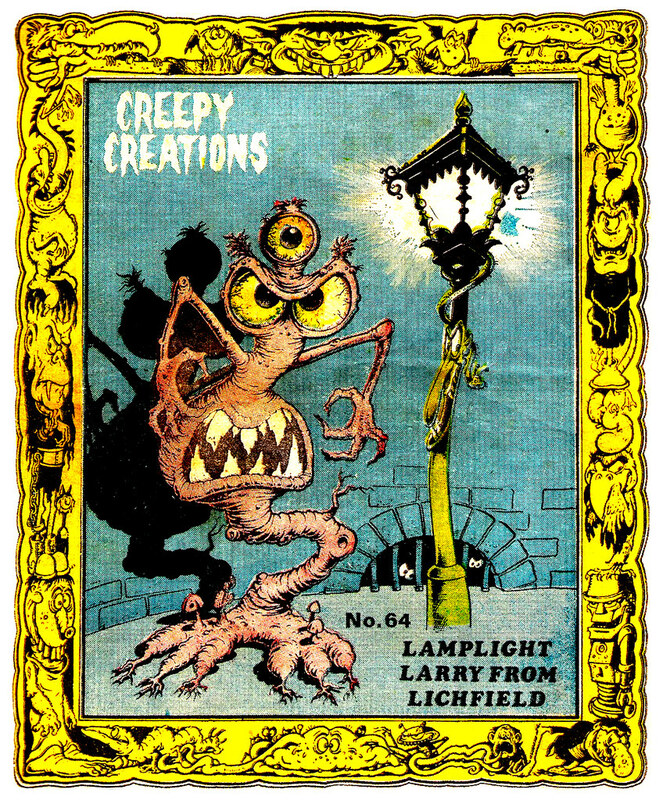 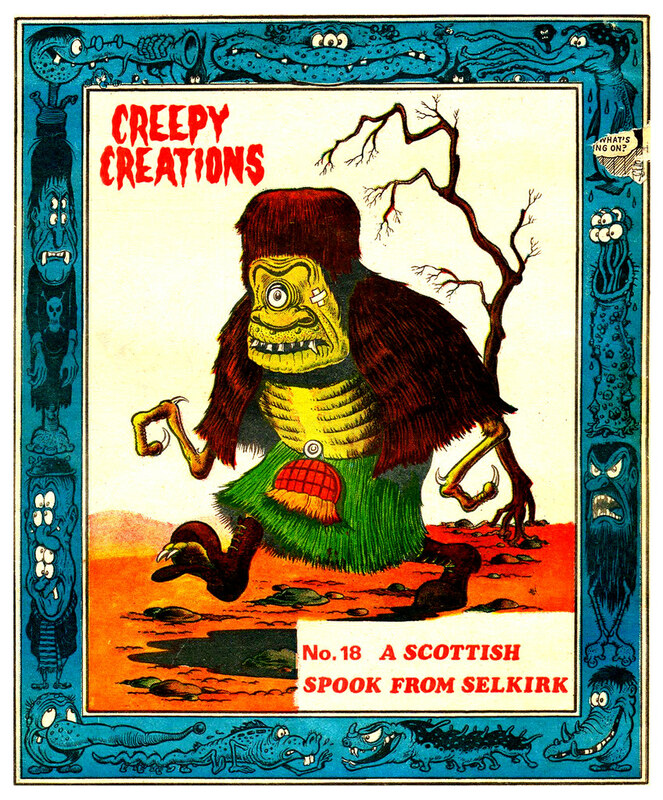 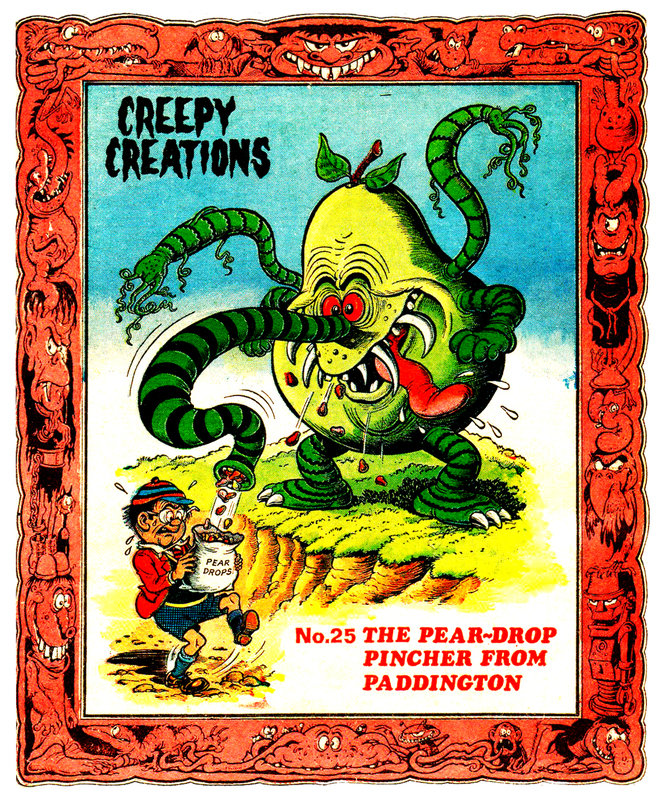 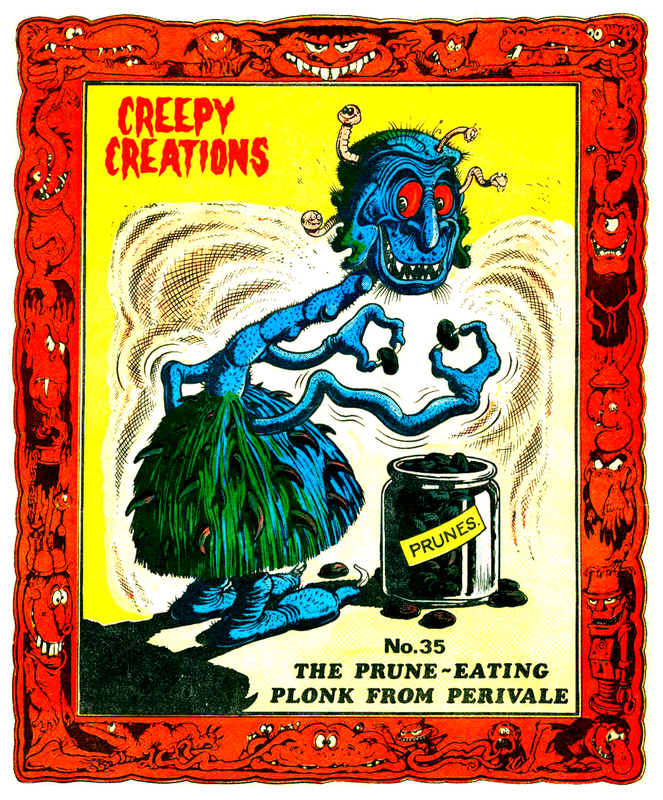 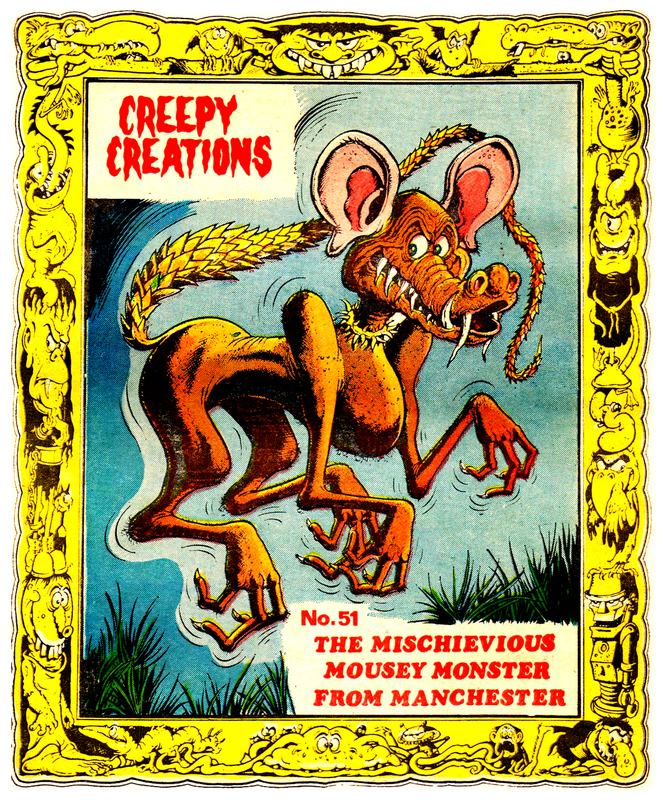 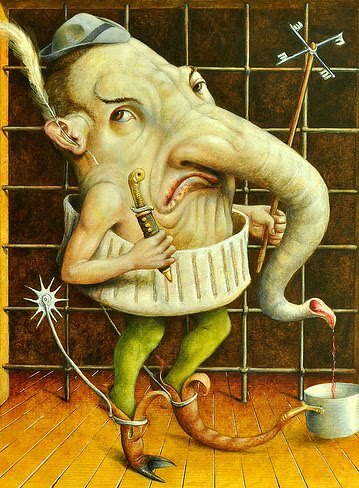 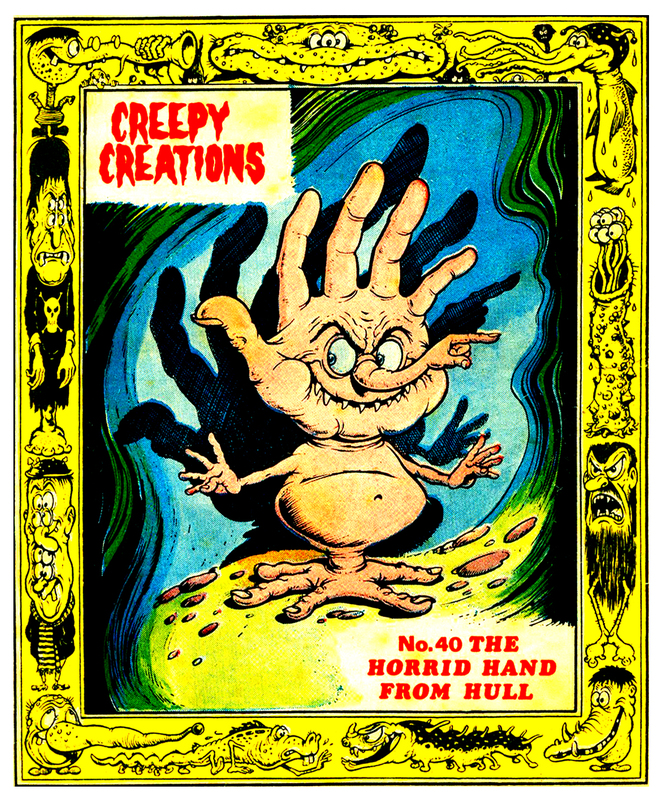 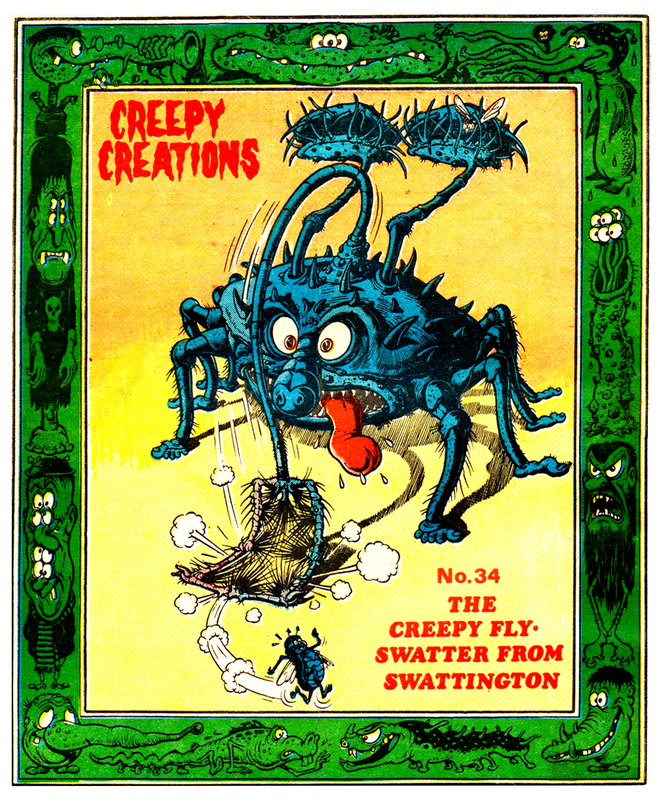 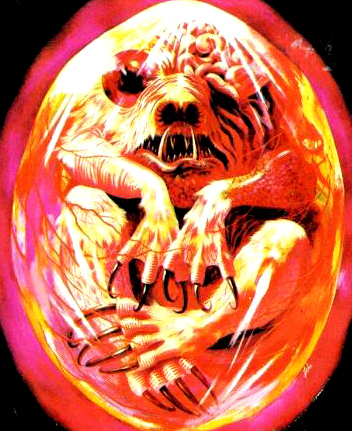 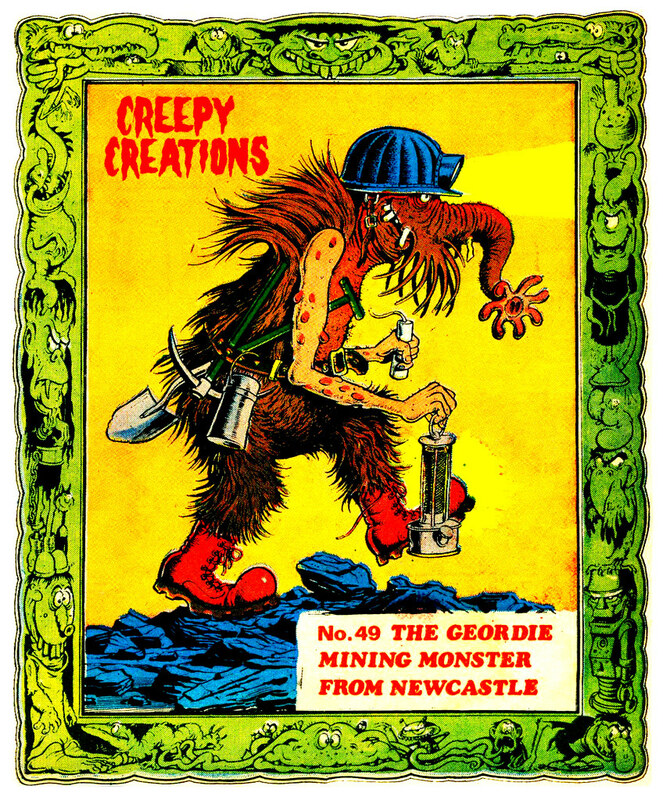 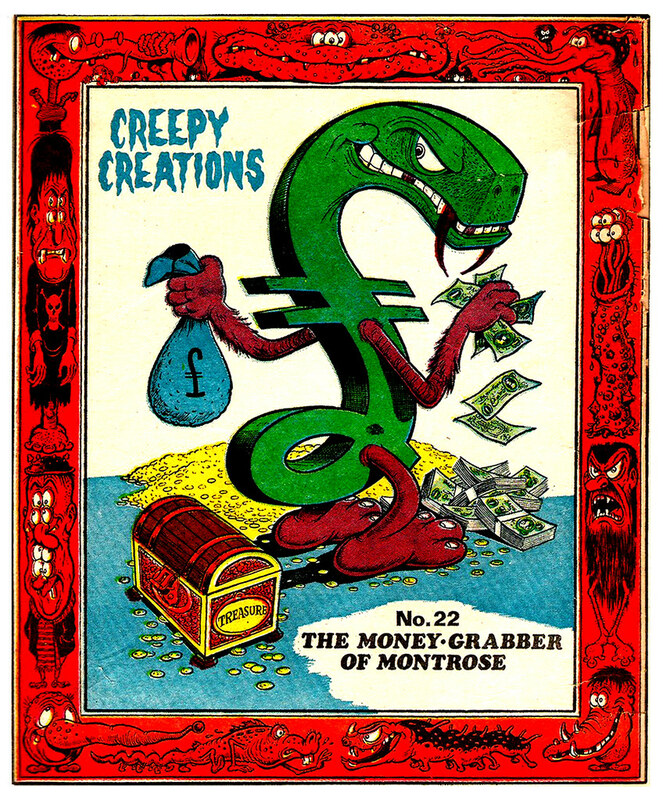 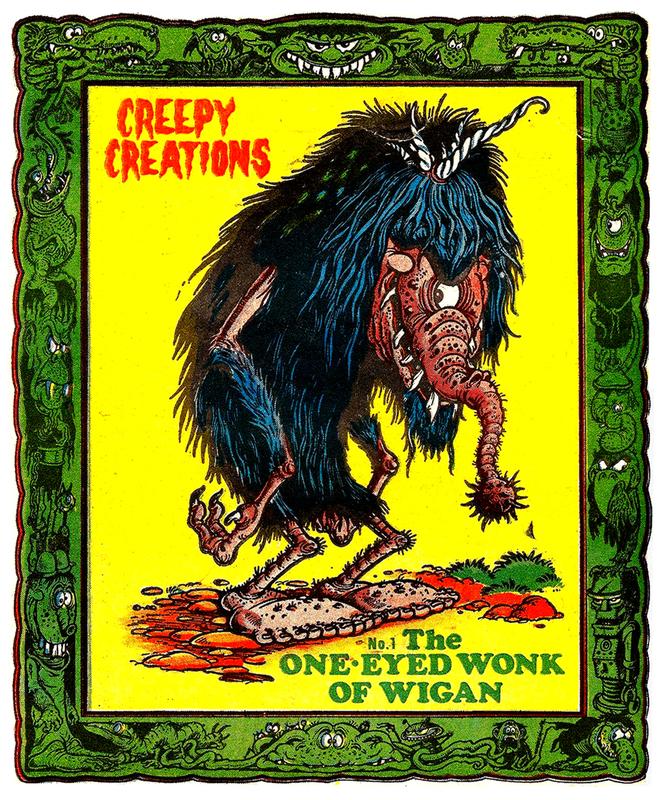 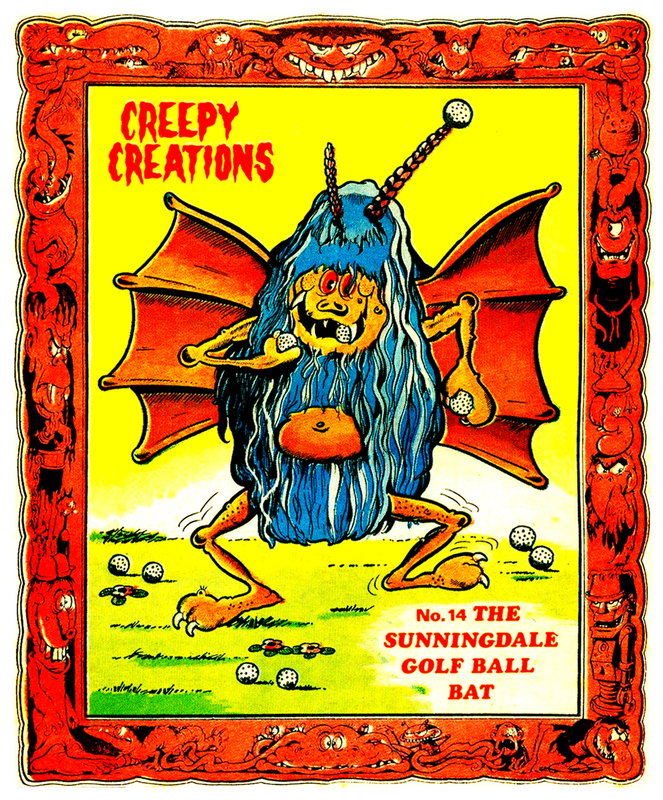 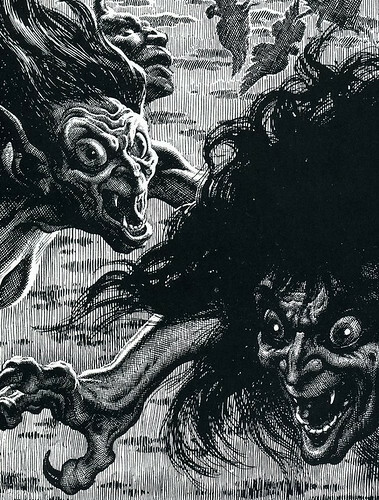 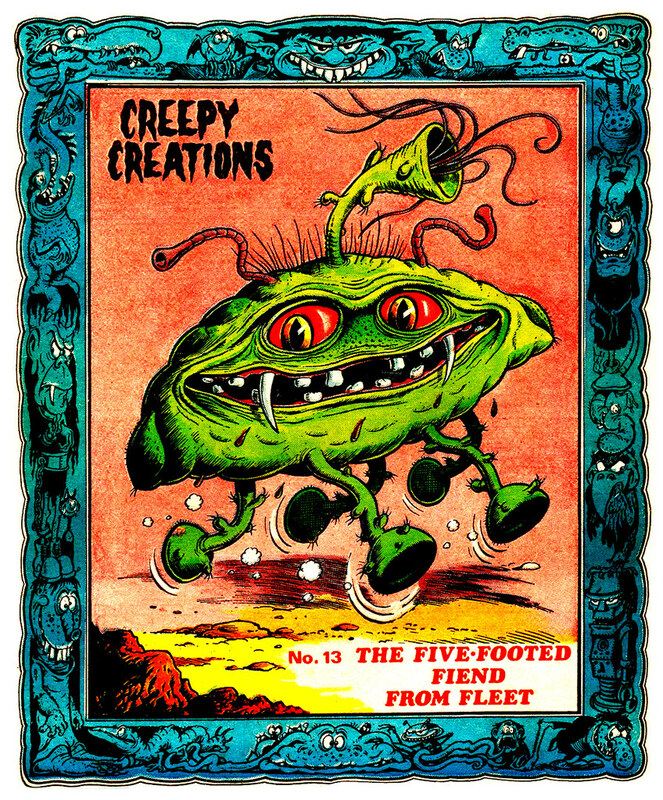 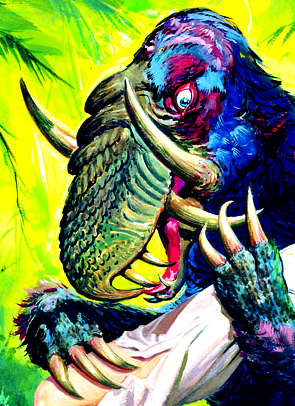 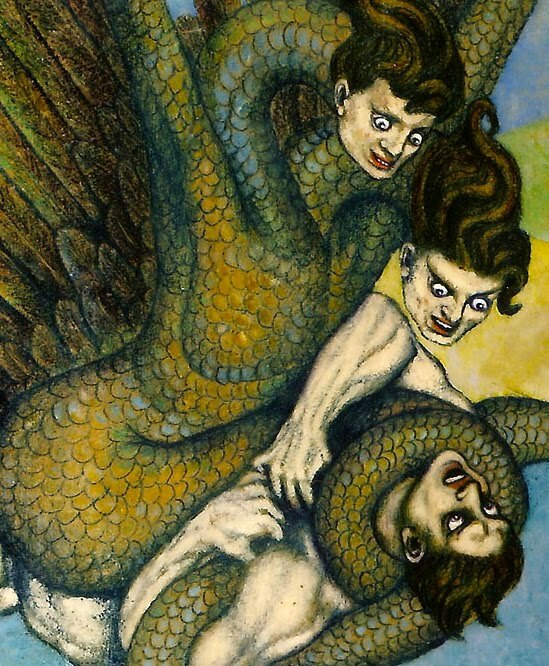 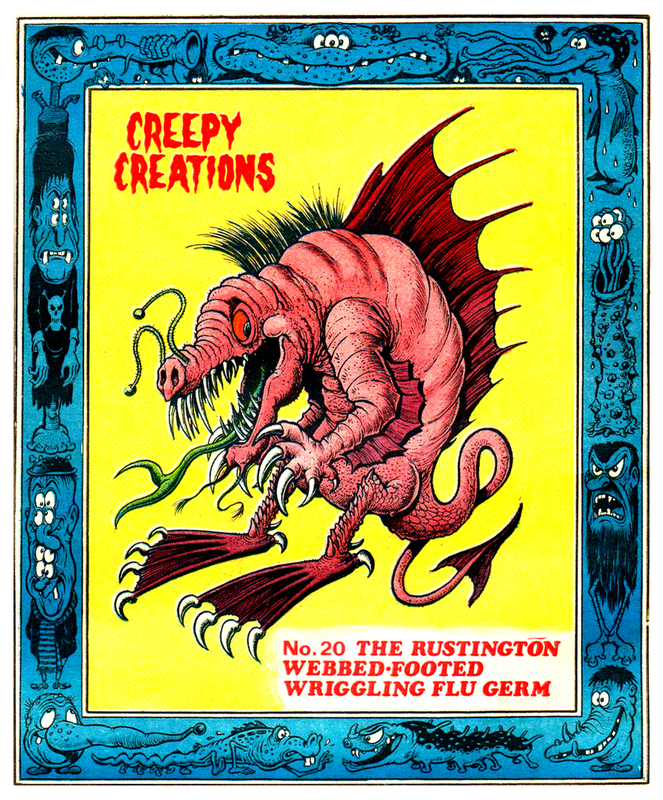 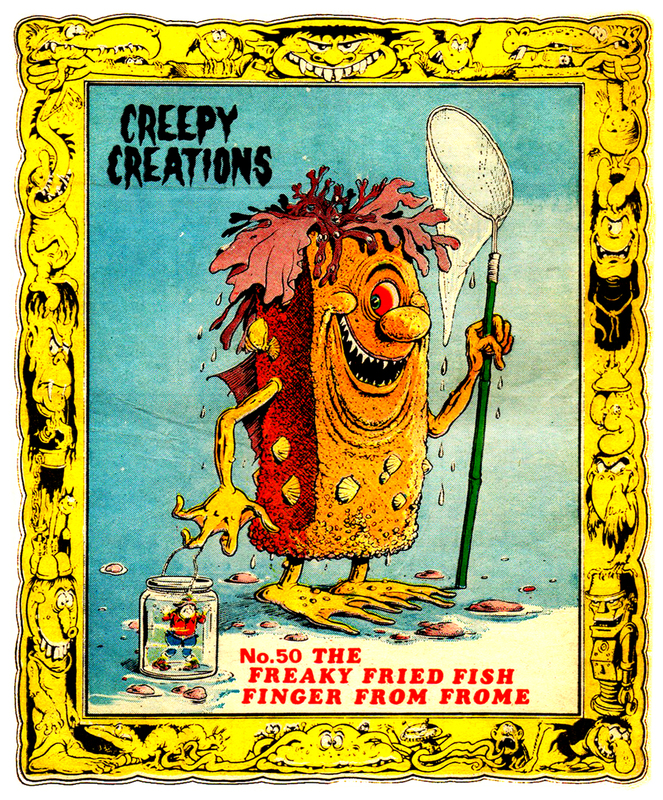 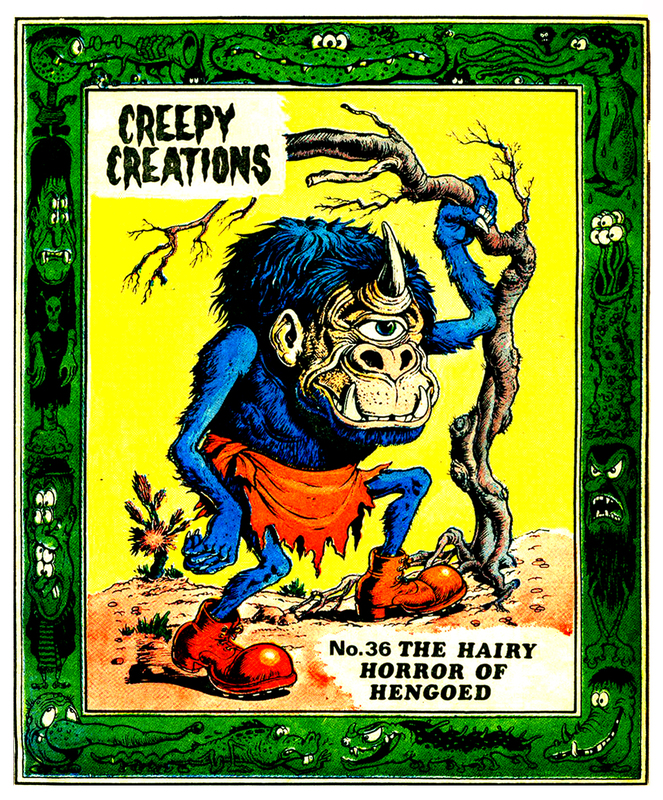 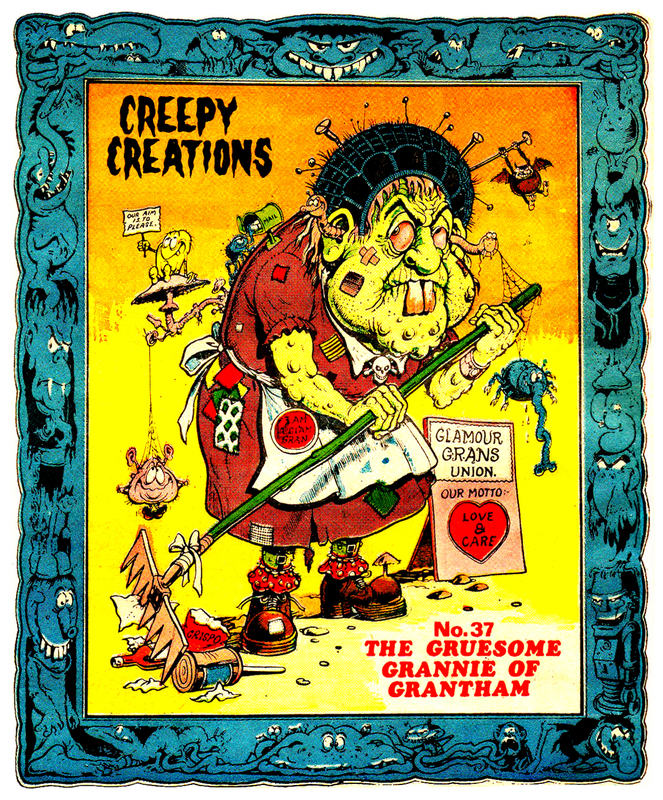 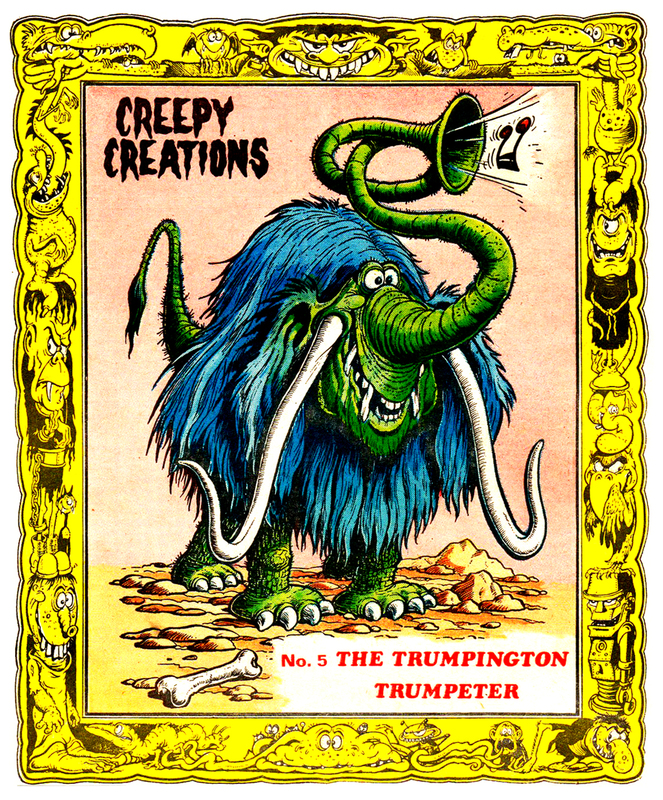 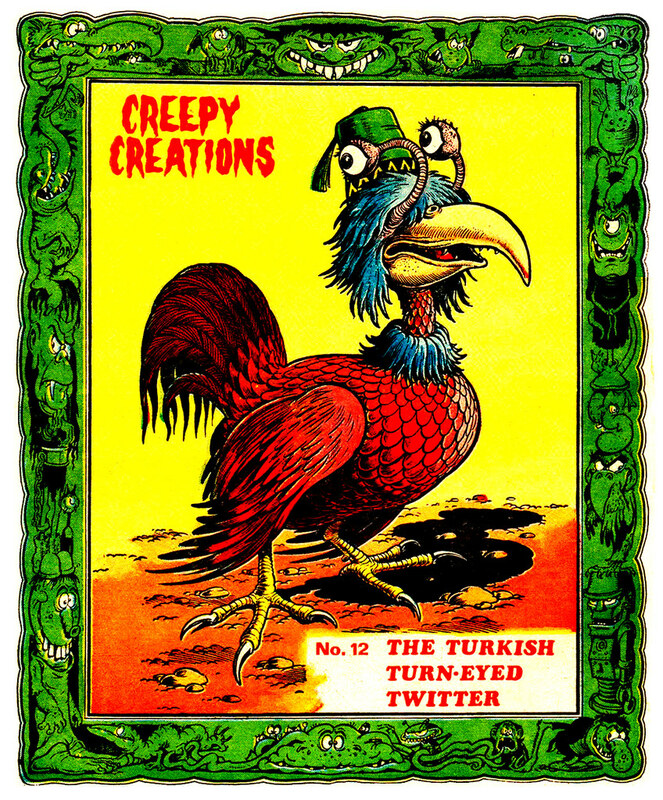 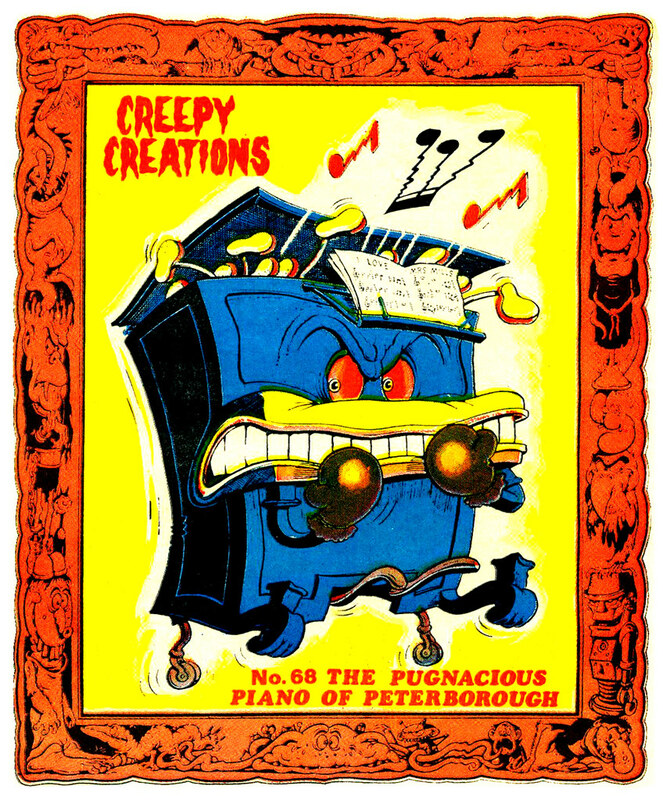 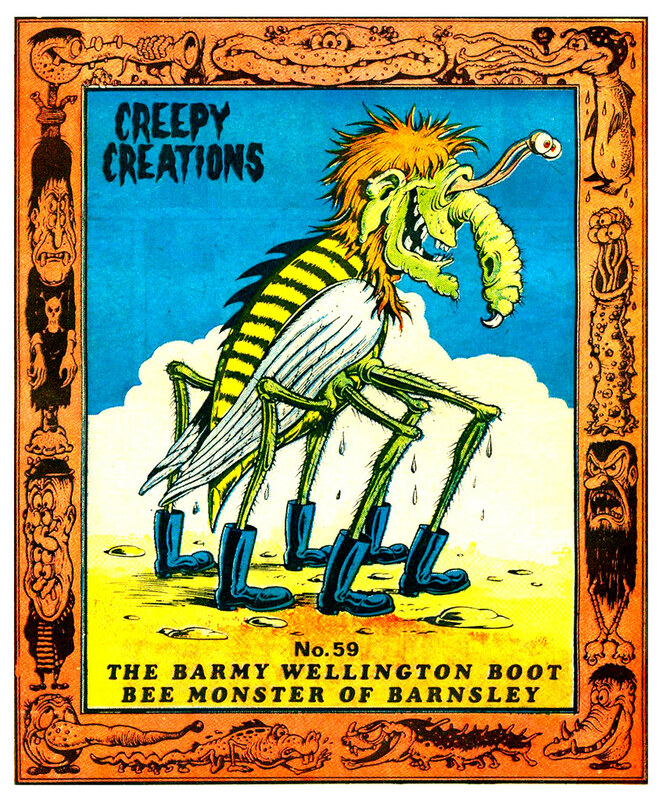 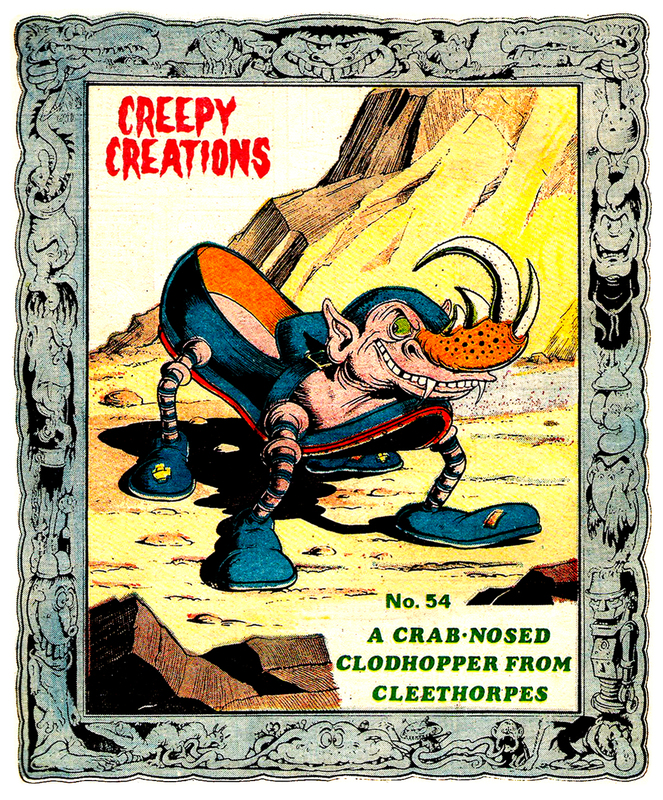 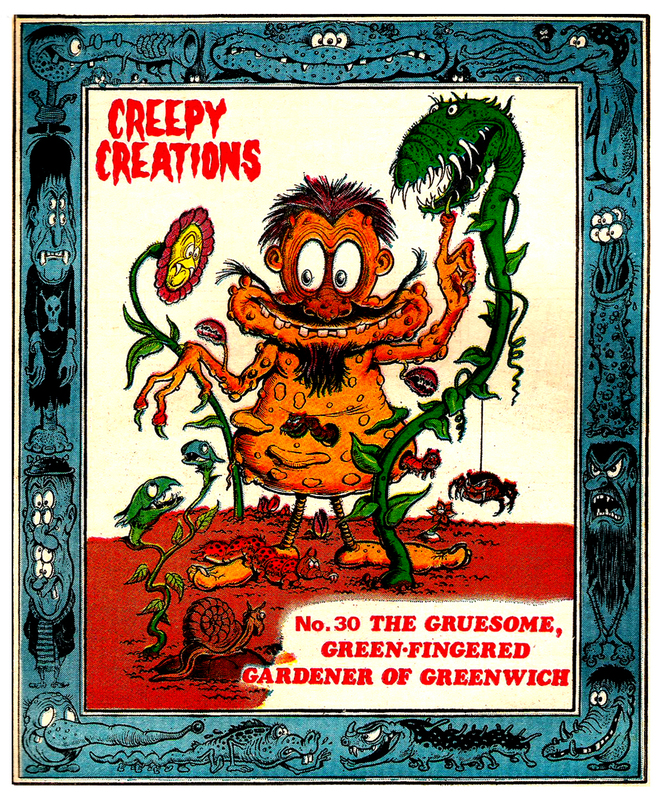 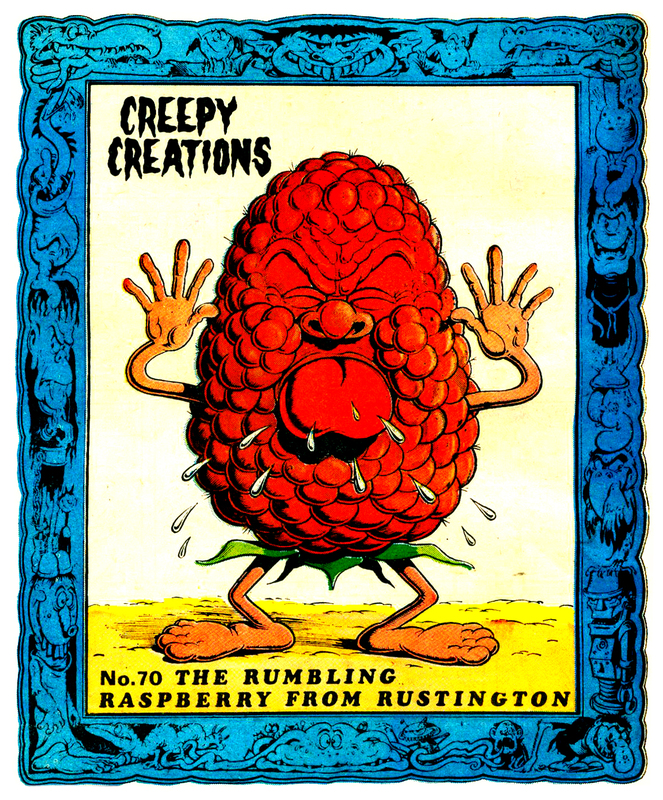 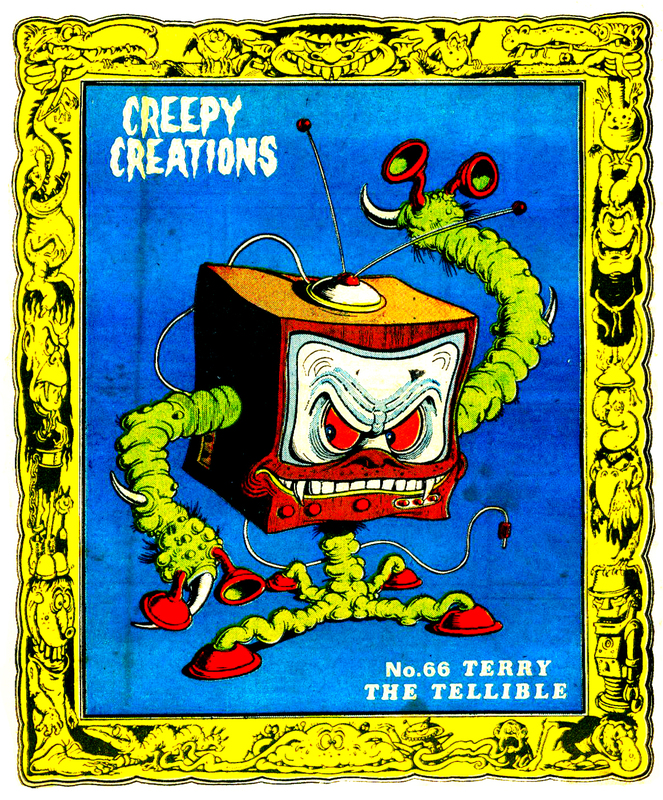 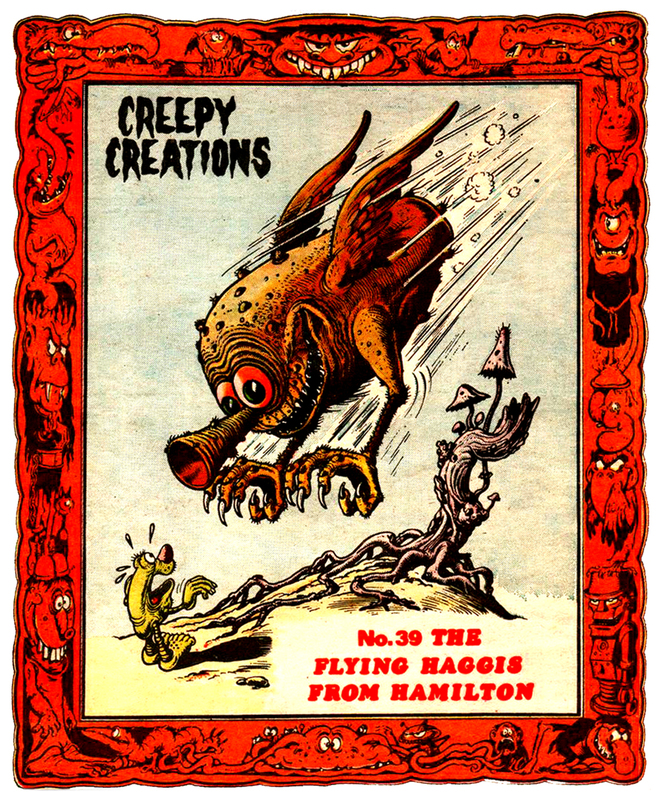 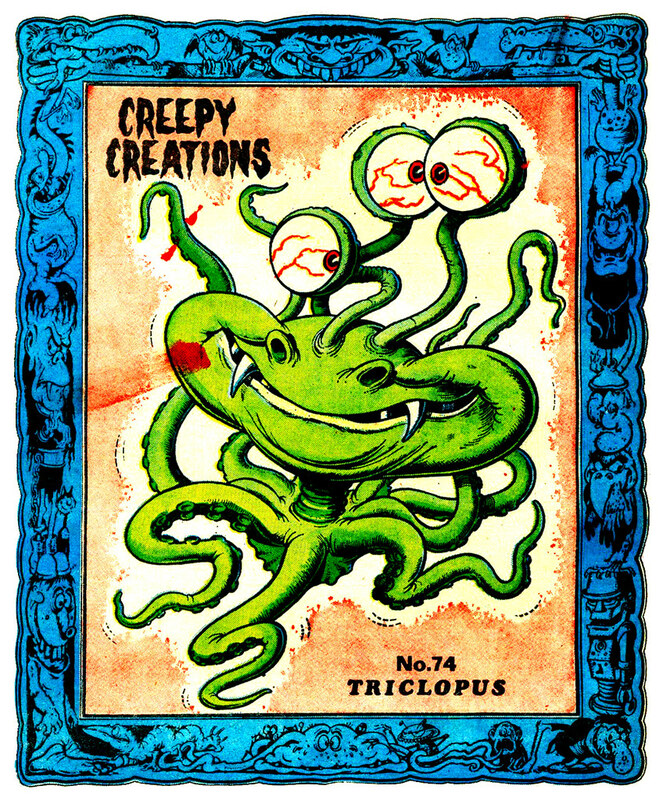 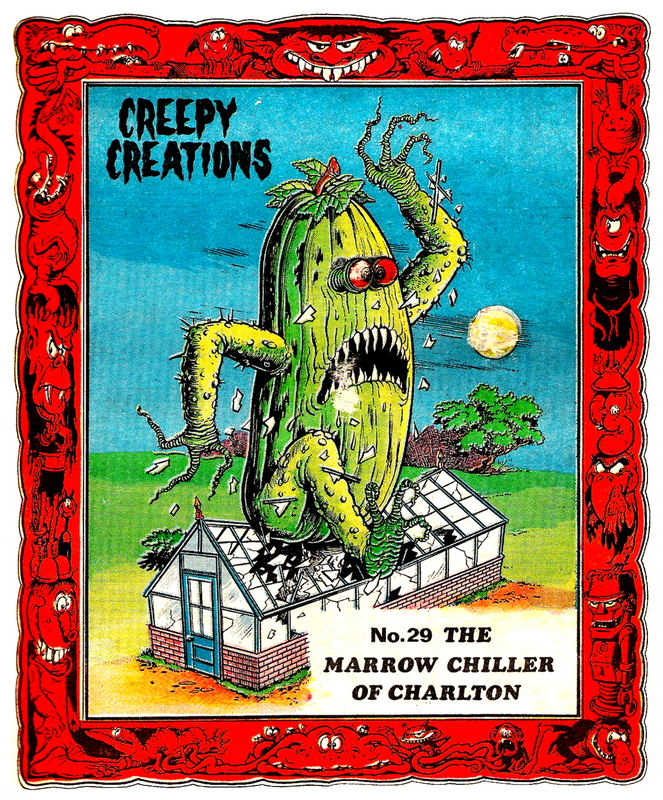 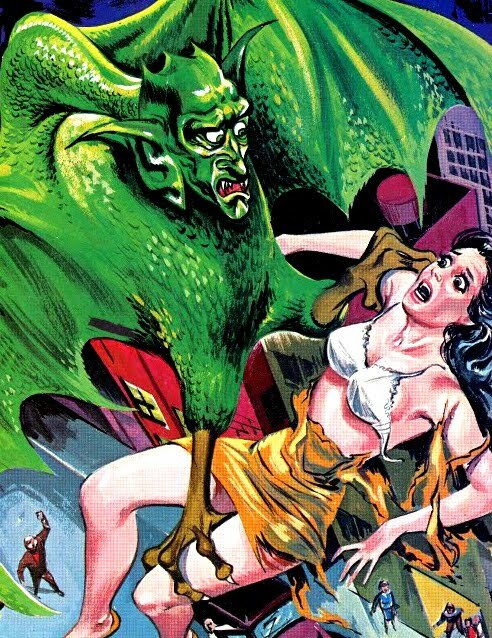 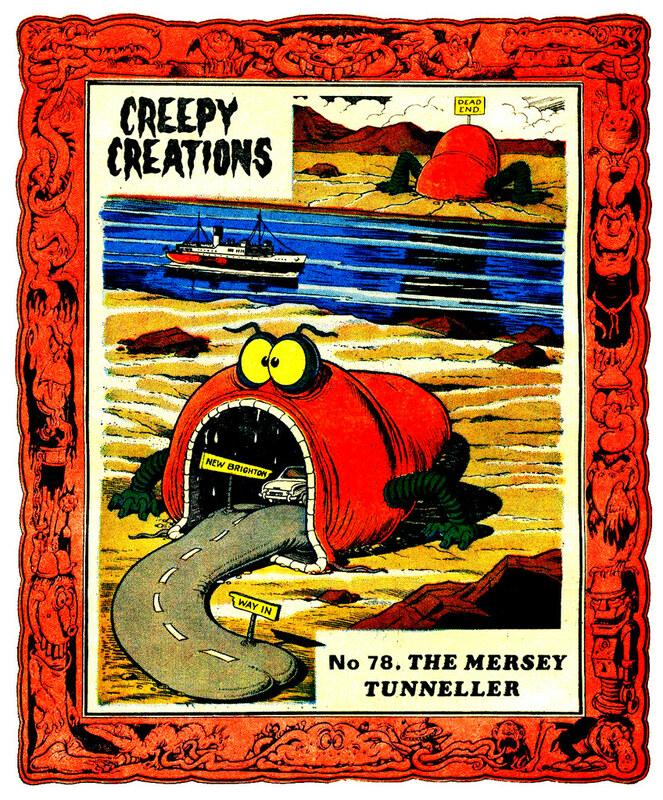 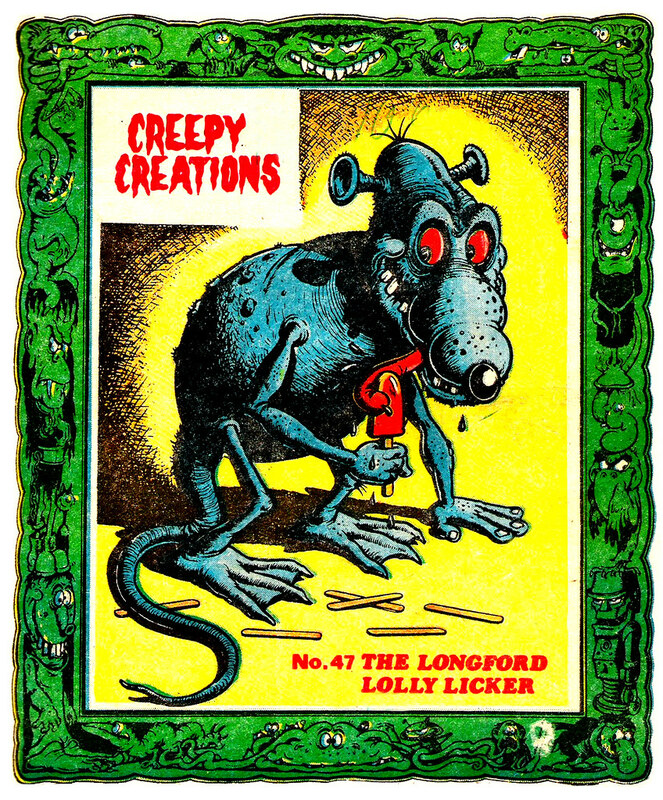 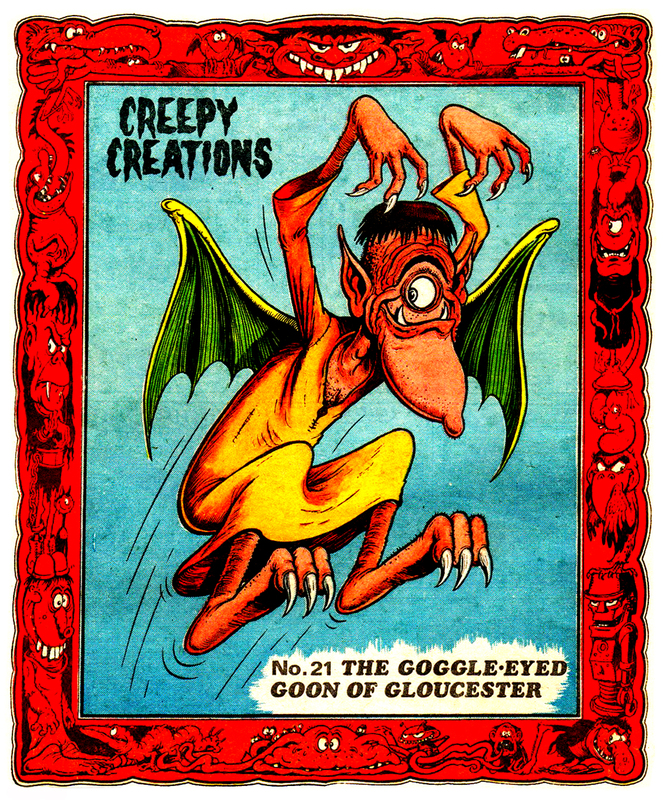 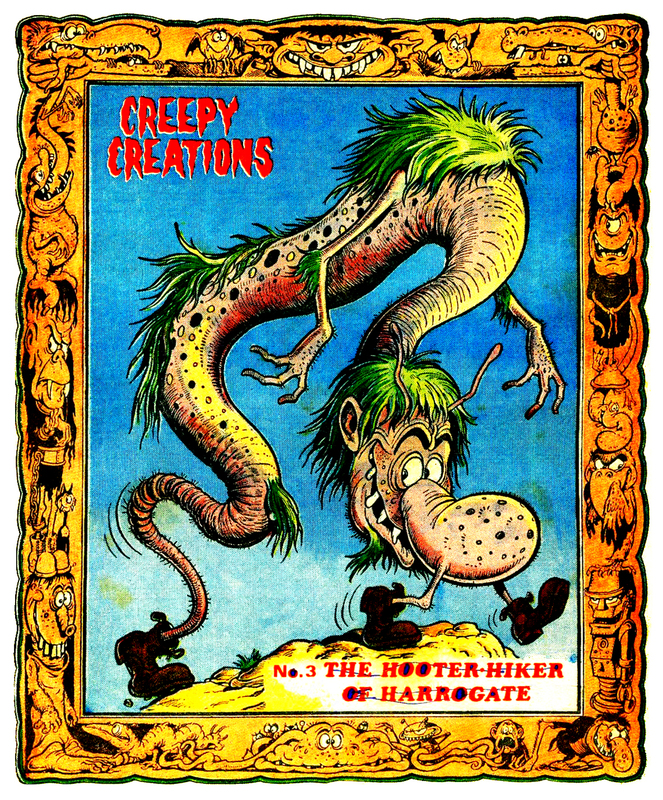 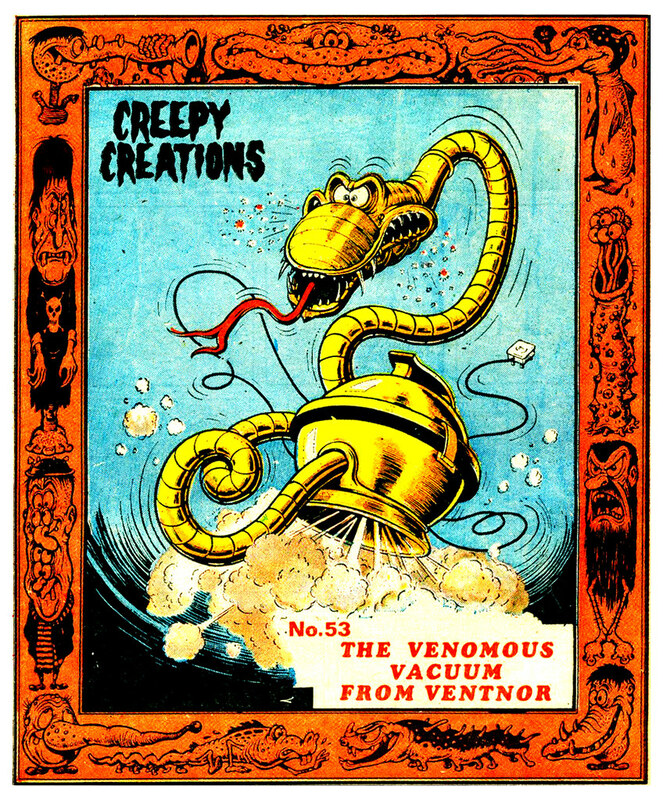 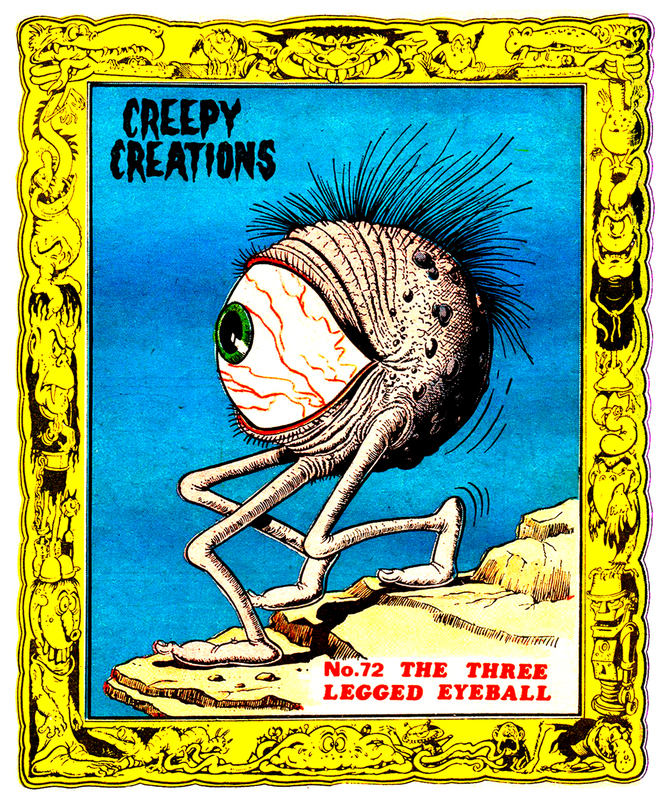 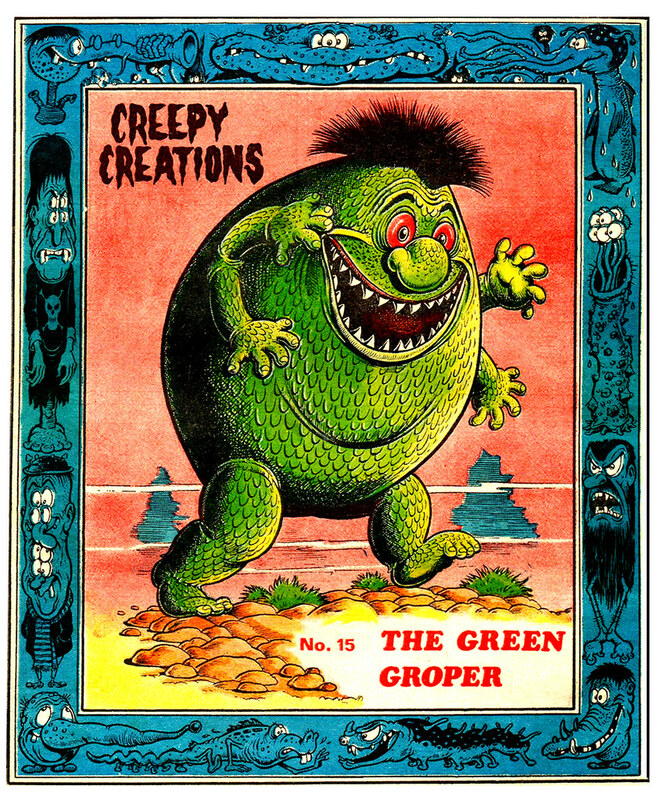 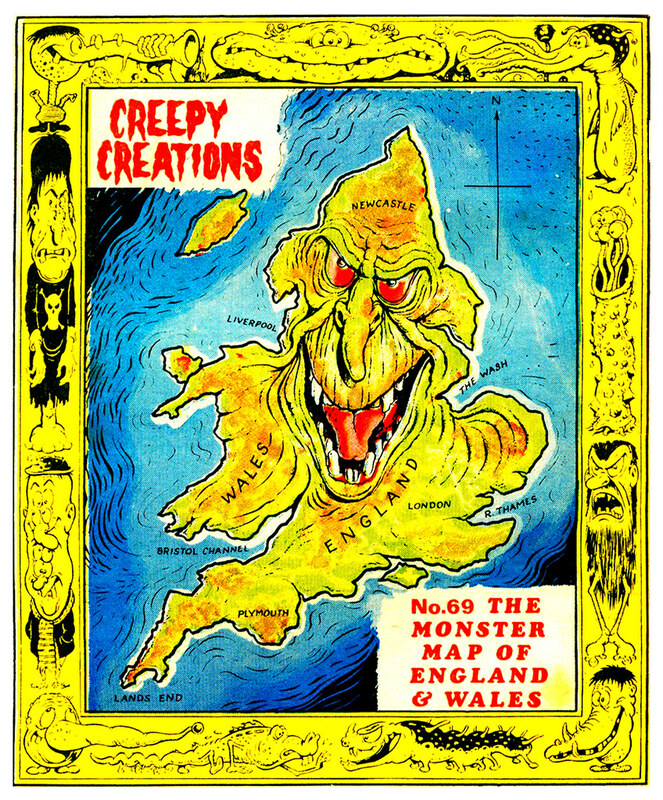 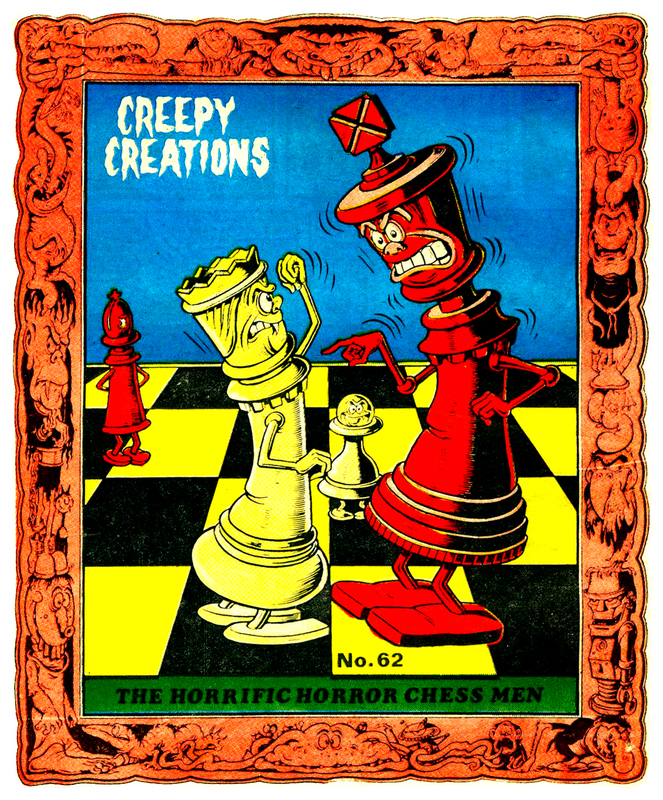 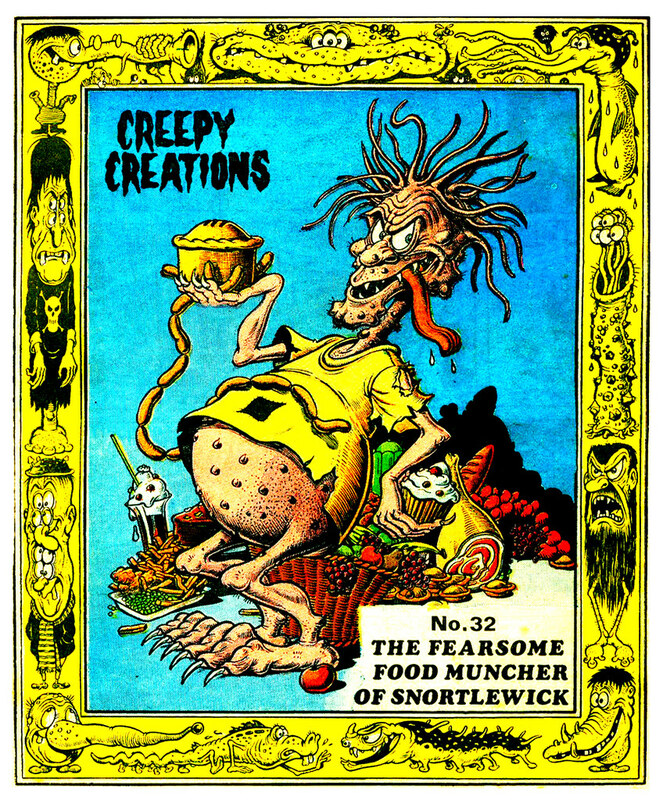 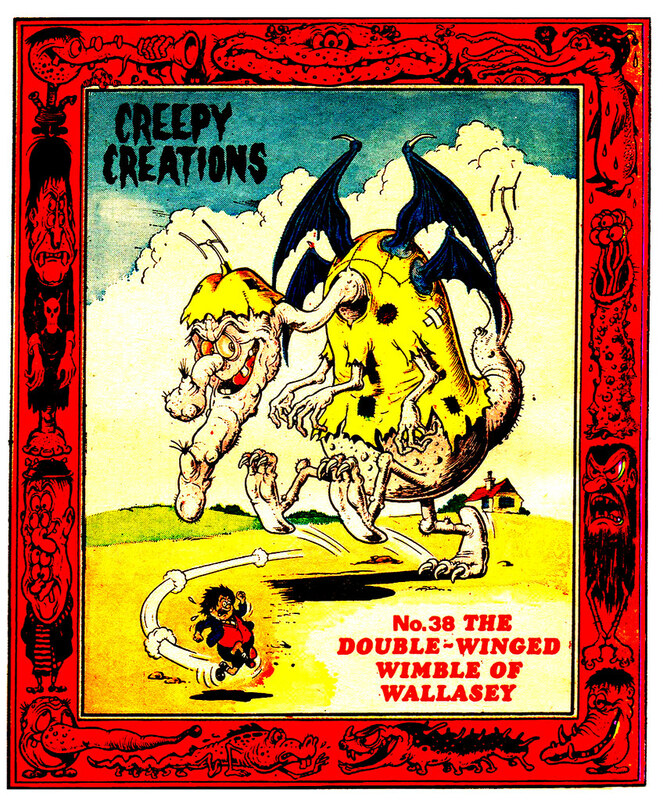 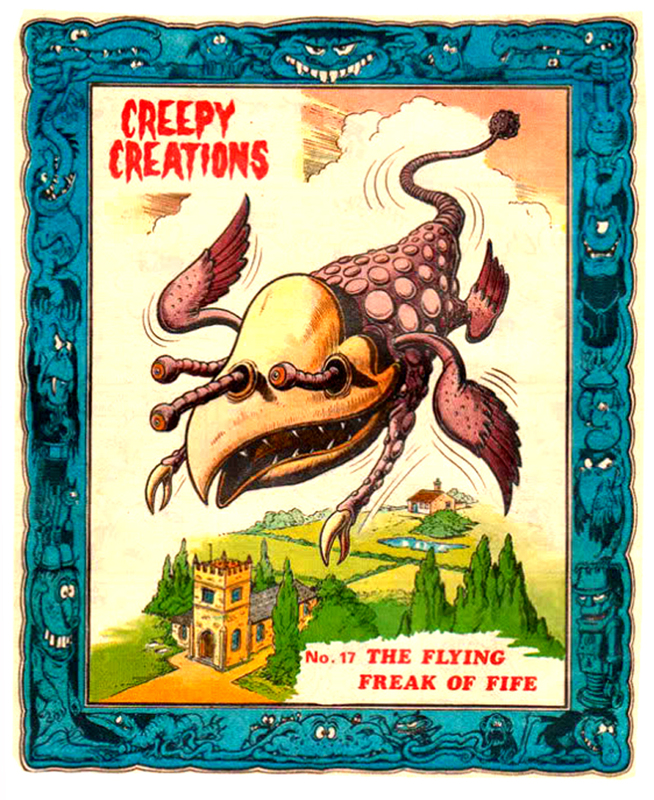 Check out Ken Reid's "World Wide Weirdies" series here. 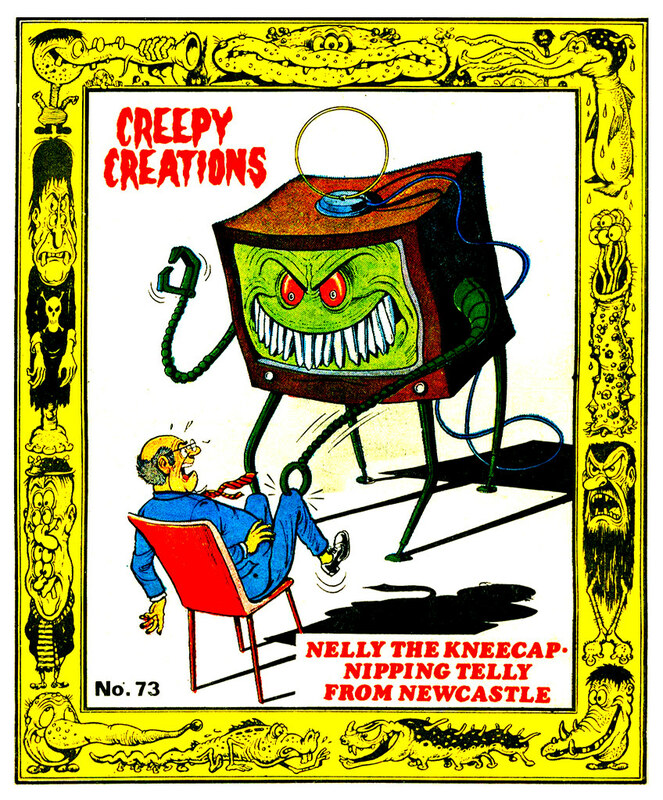 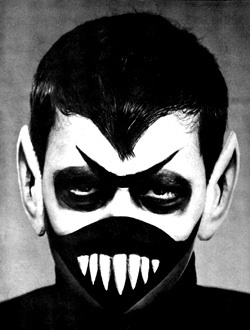 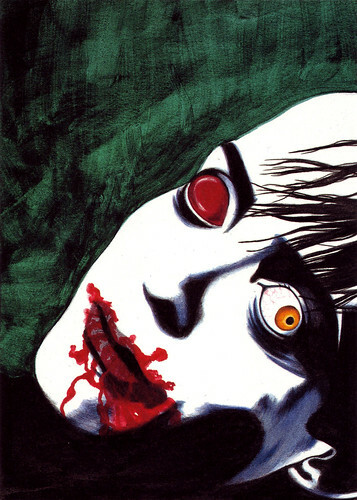 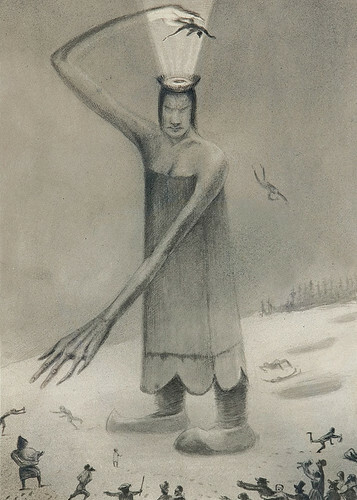 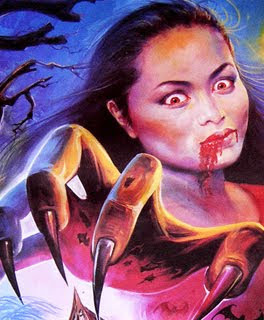 Most images found at Peter Gray's Comics blog. 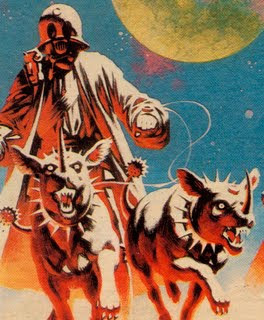 You'll notice that the versions I've shared look a little different. 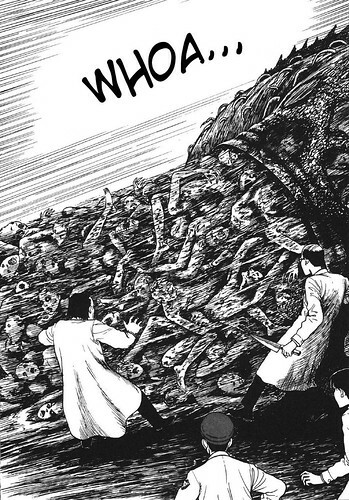 I put a great deal of time into cleaning up the pics, shifting levels, removing outer text, etc. 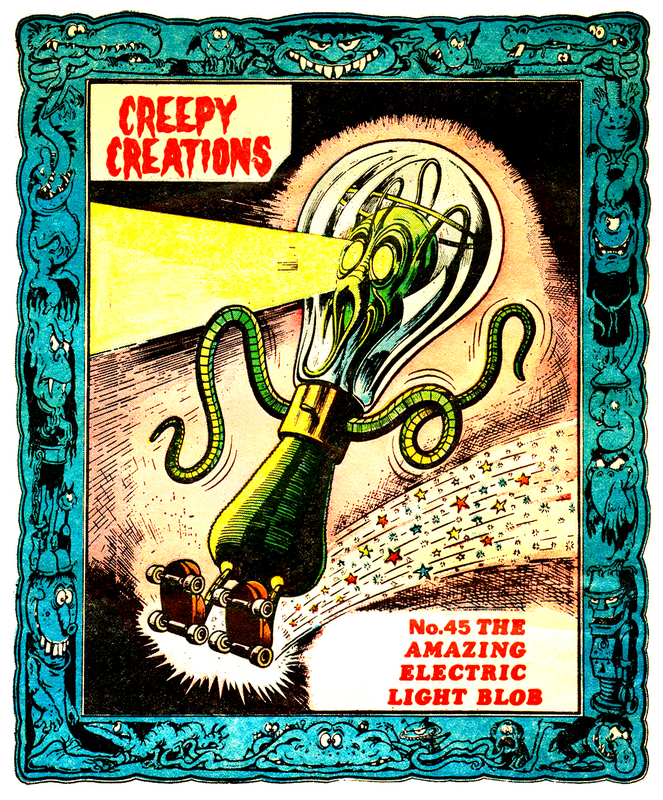 I particularly like the bulb-thing. 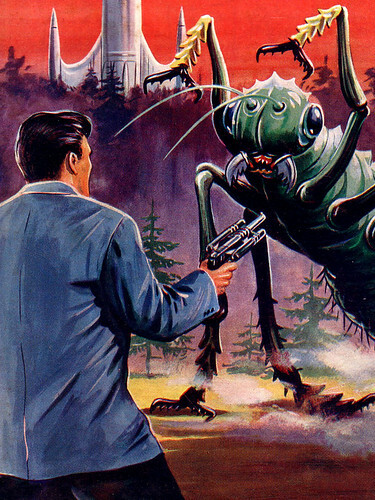 This website inspires me like no other. 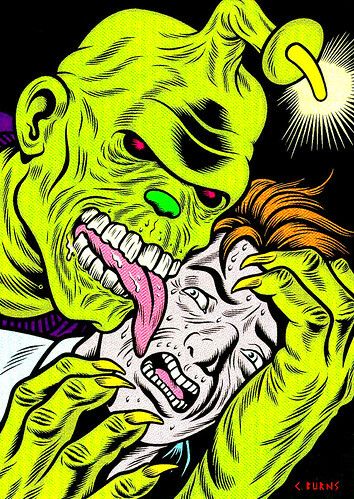 Thank you for everything you do!